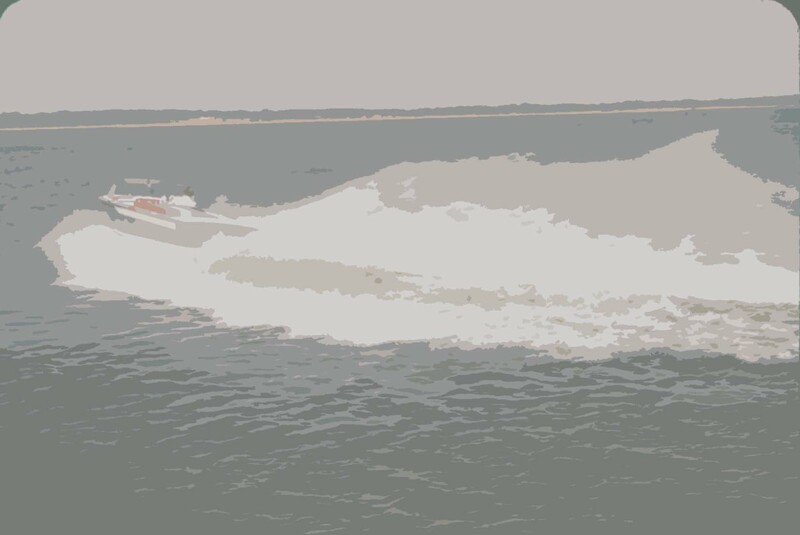 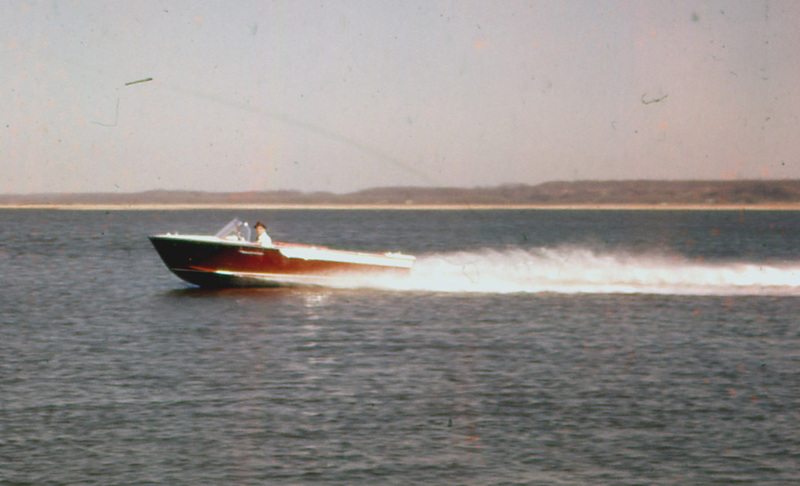 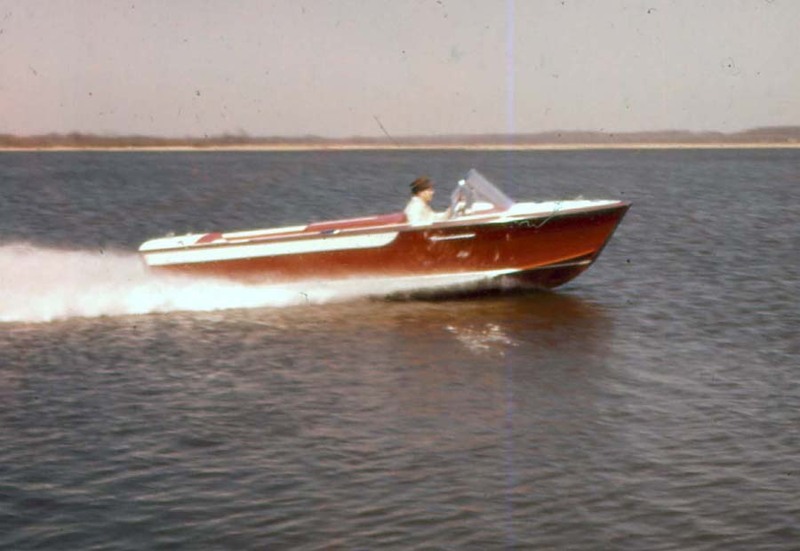 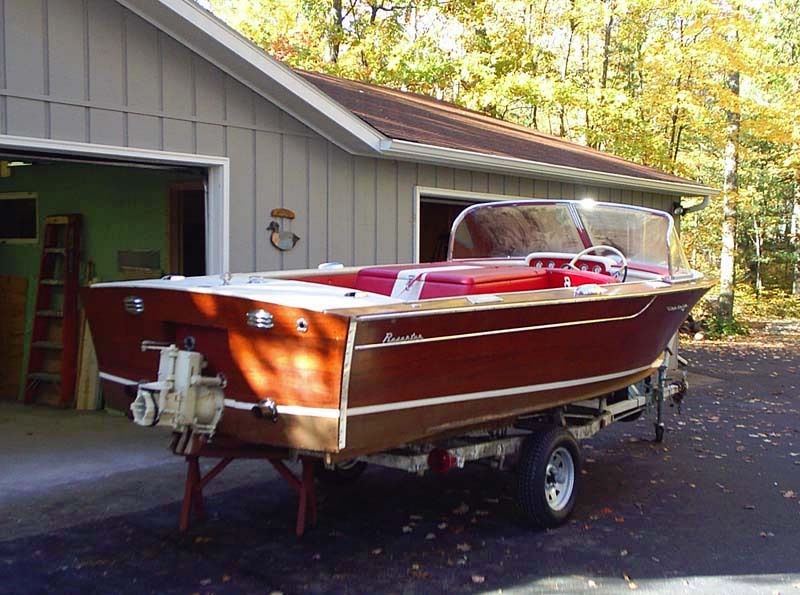 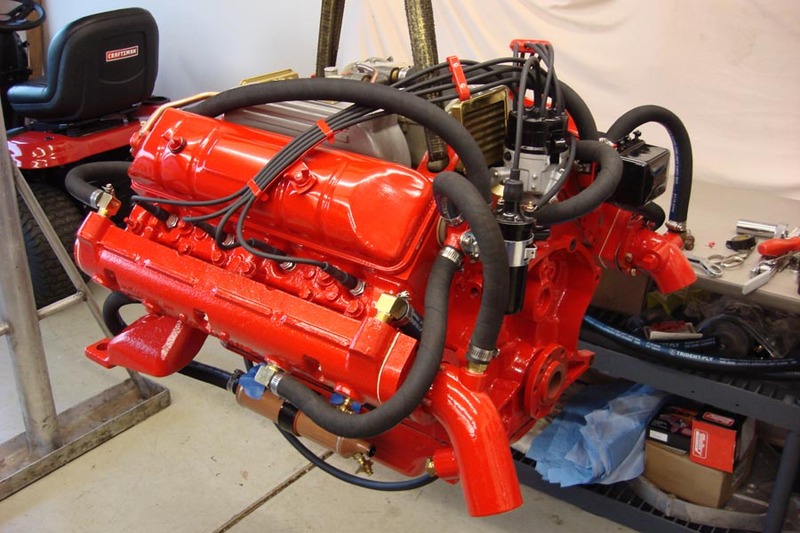 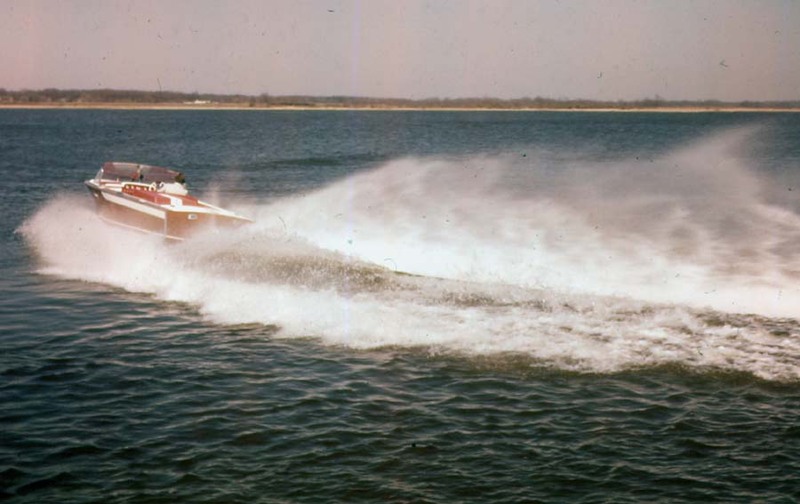 projects 1961 Resorter 17' Jet drive prototype. 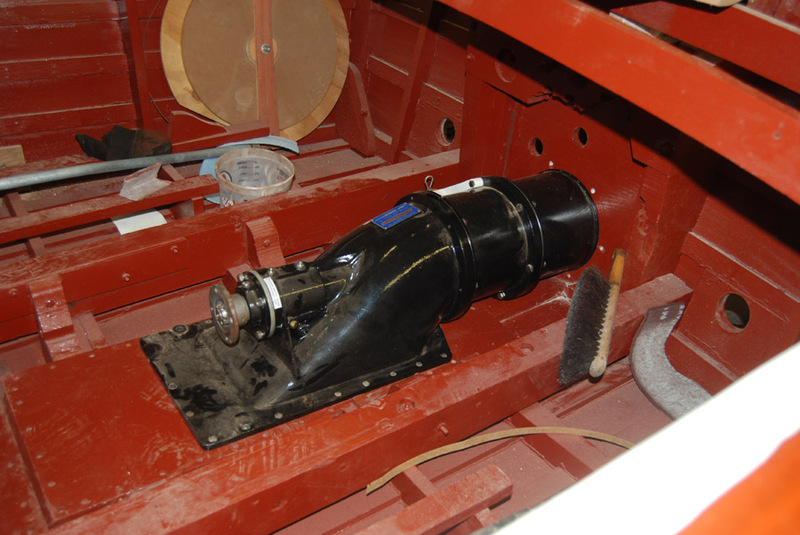 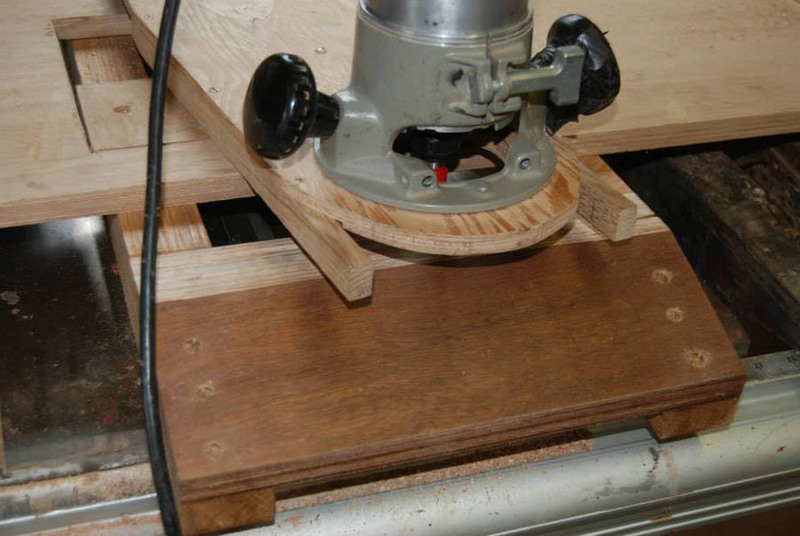 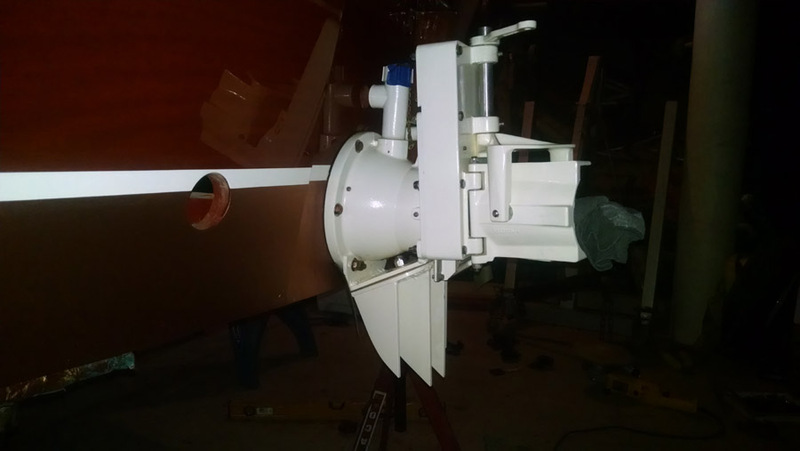 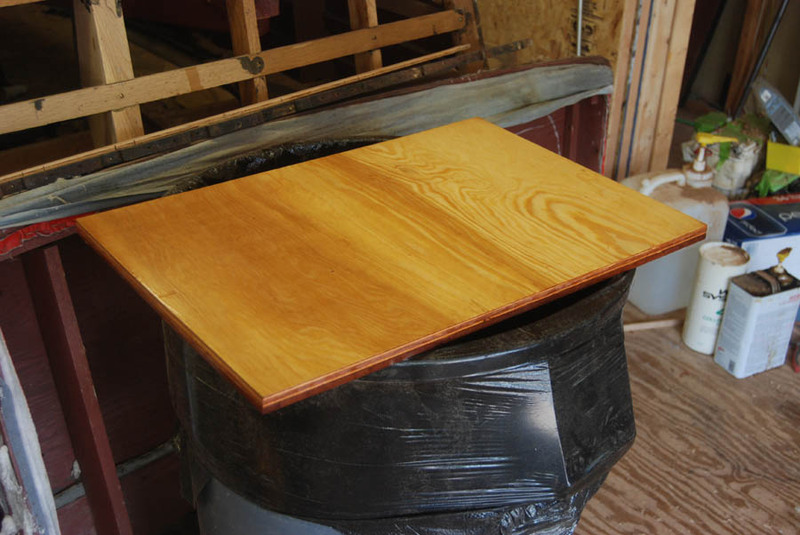 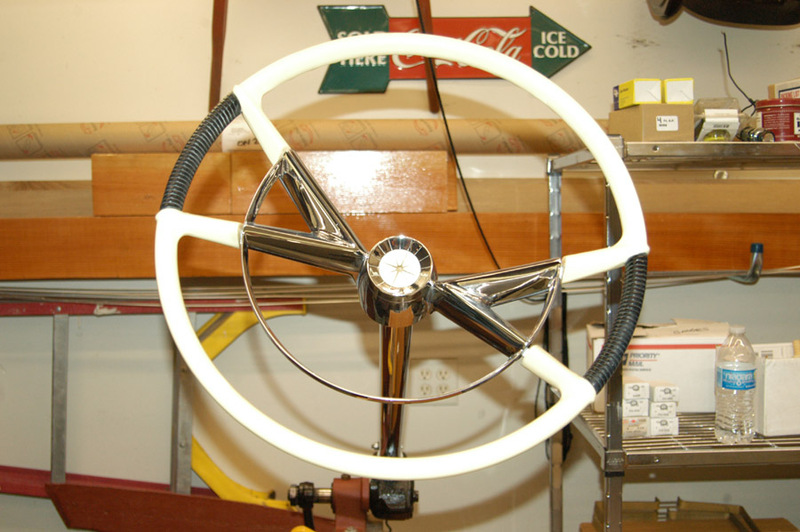 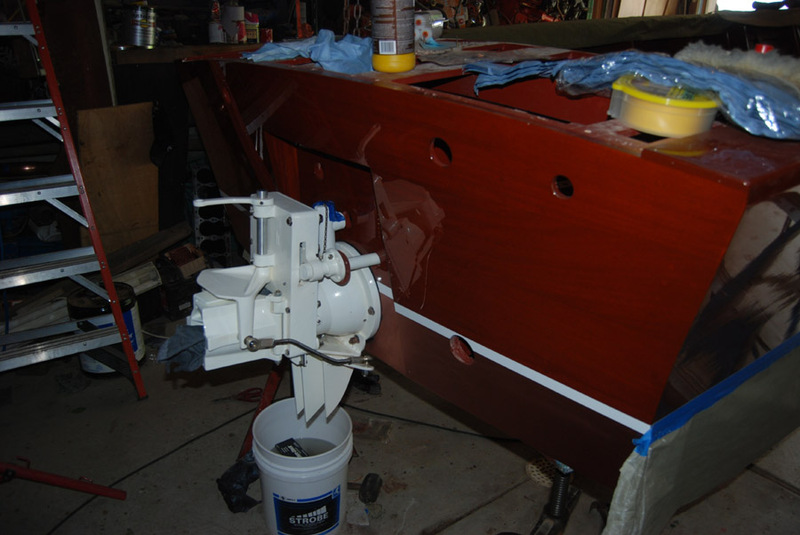 The Restoration of a 1961 Century Resorter 17'Jet drive prototype. 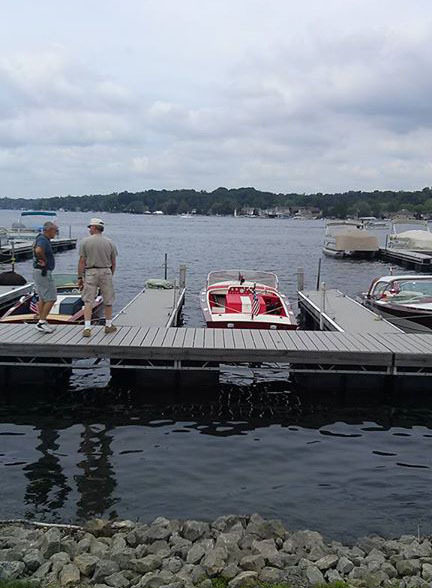 Photo sent by owner several years ago.. 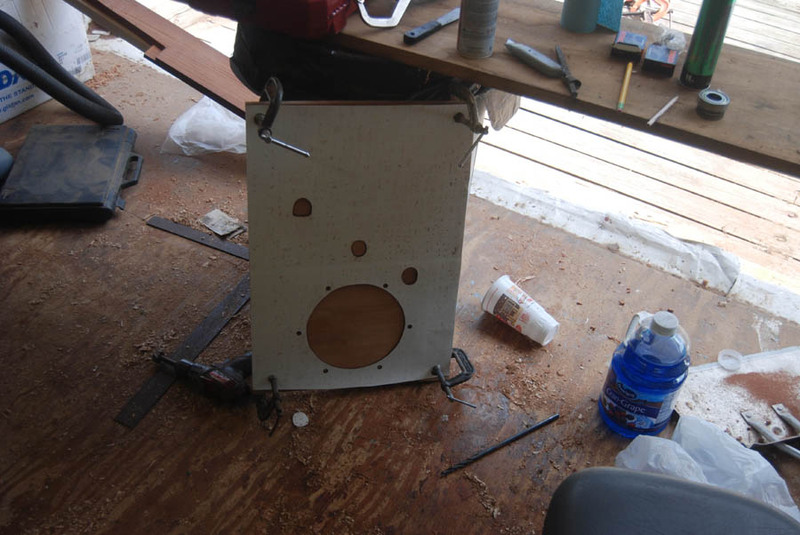 Determined it was the prototype jet Resorter 17'. 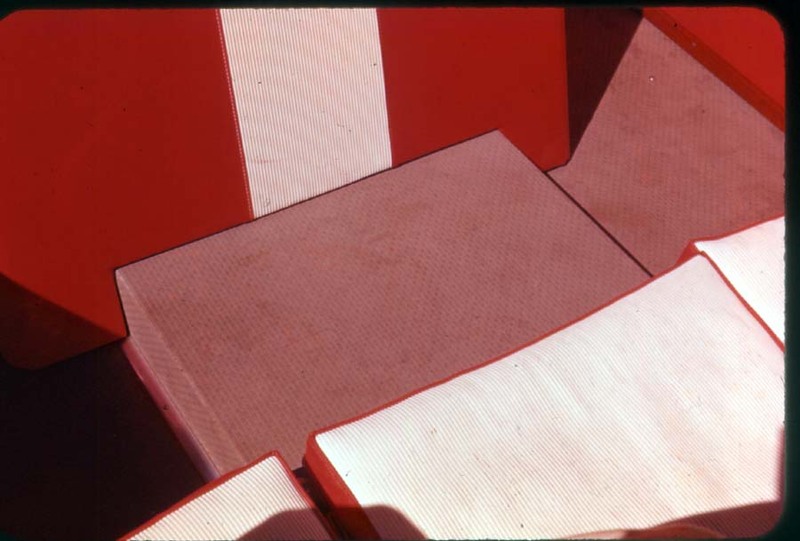 Factory photo taken in 1961. 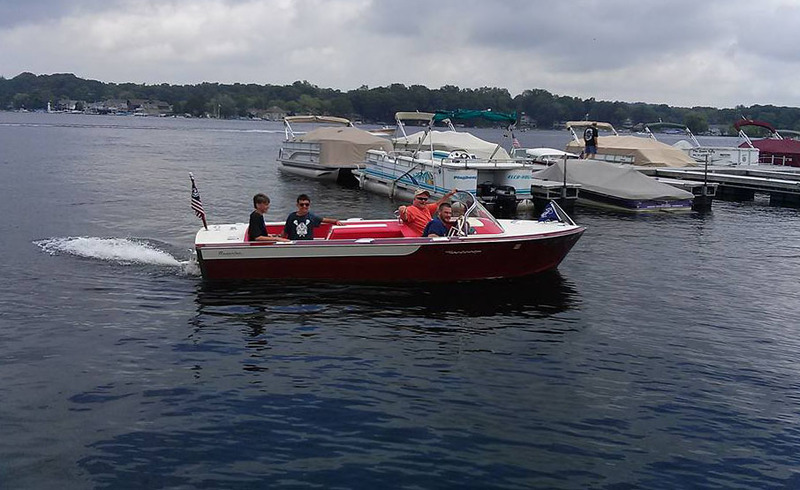 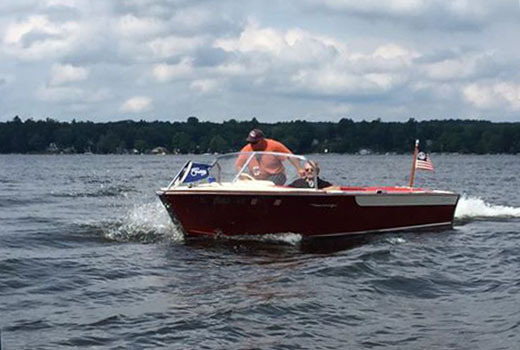 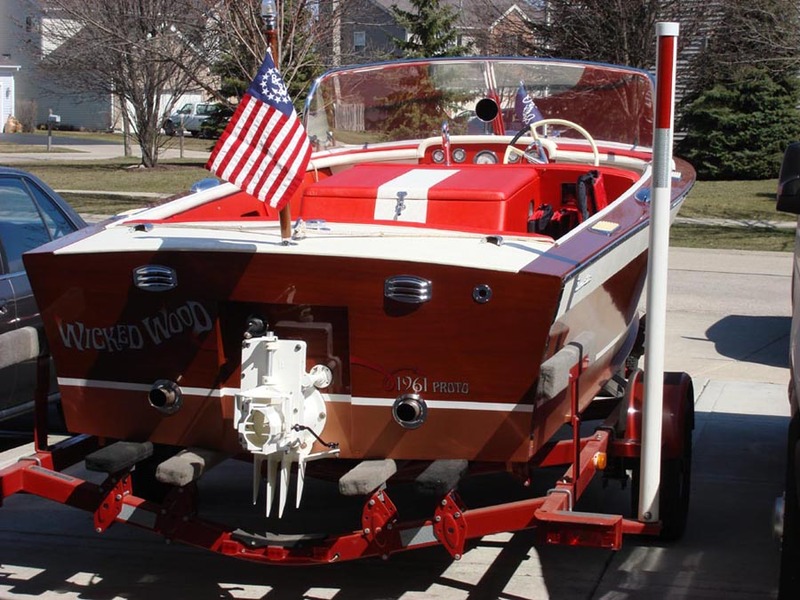 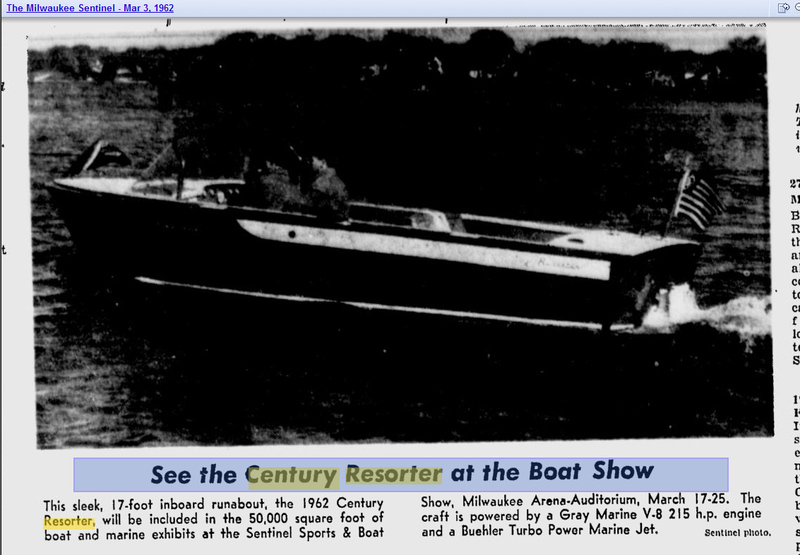 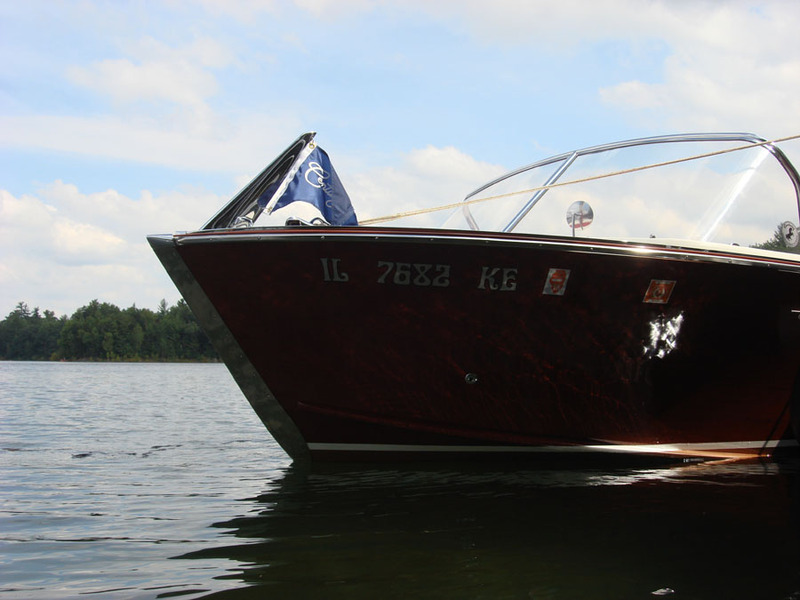 Milwaukee Sentenal newspaper article featuring this boat at the Milwaukee boat show. 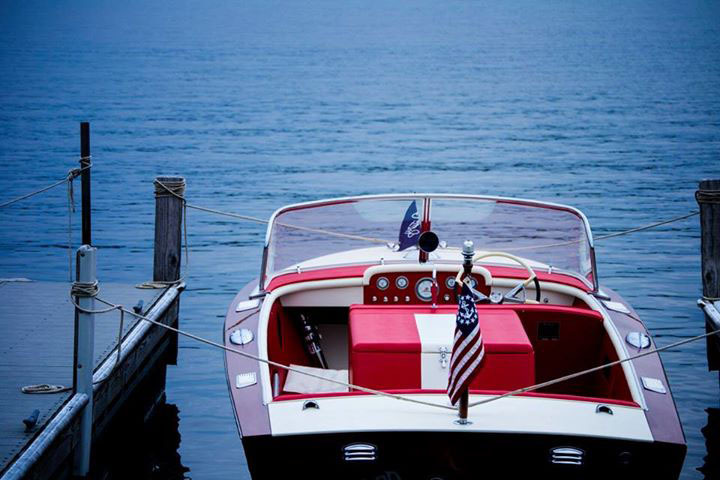 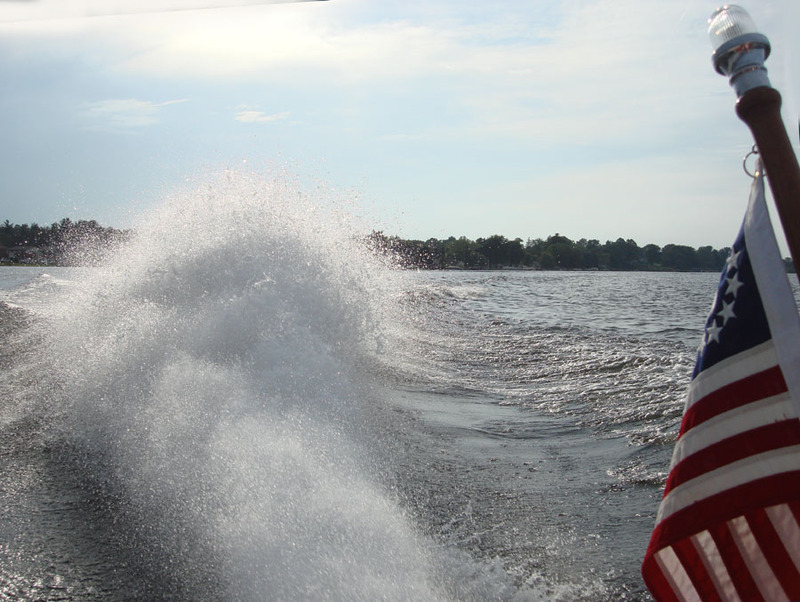 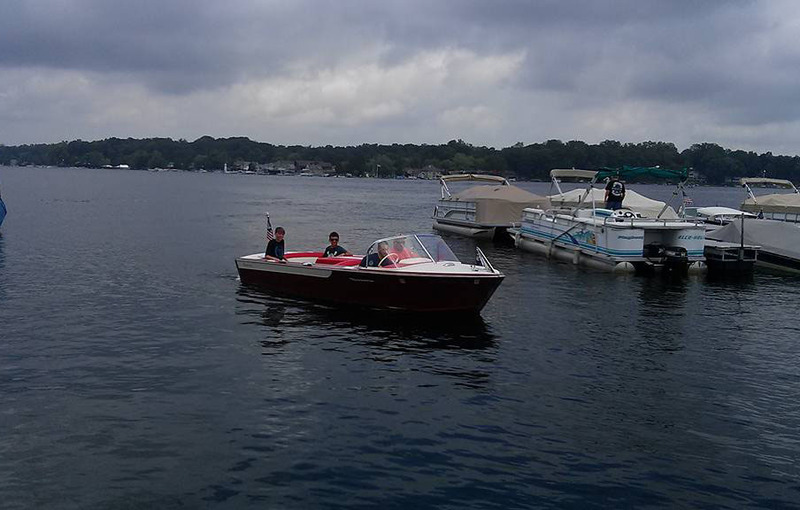 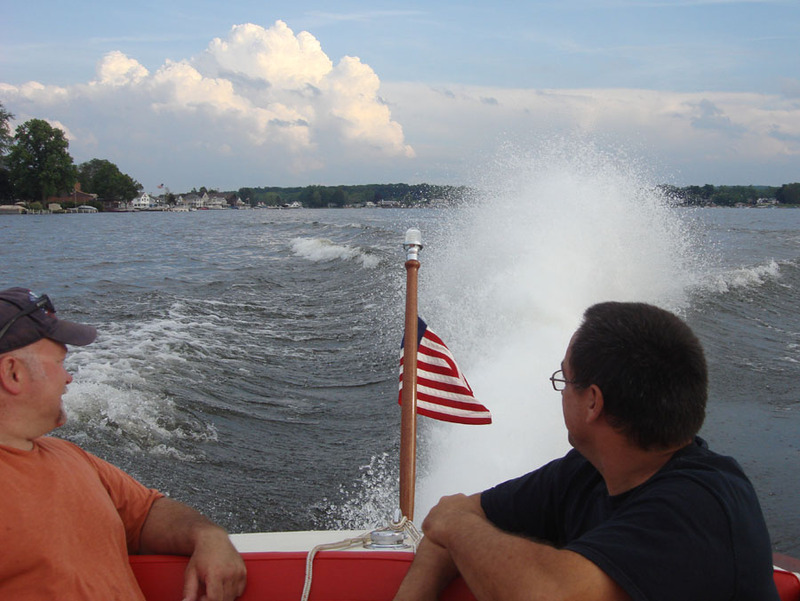 The first time we saw the boat. 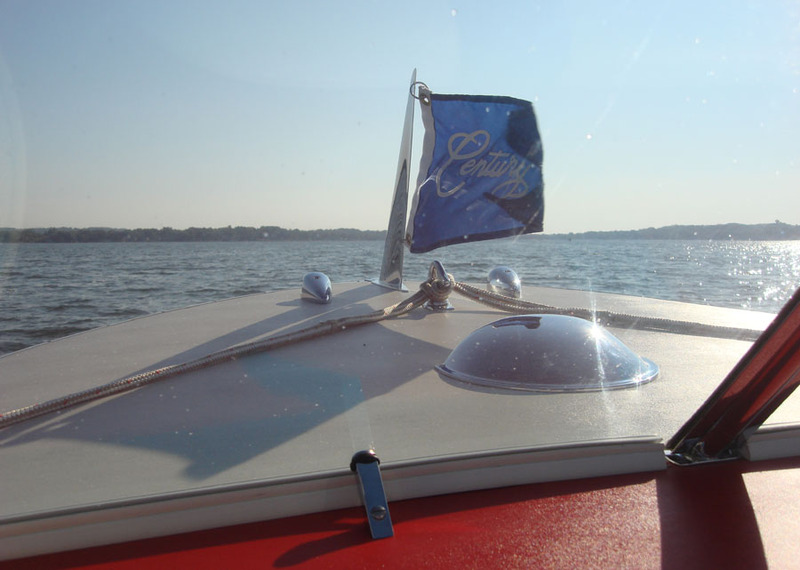 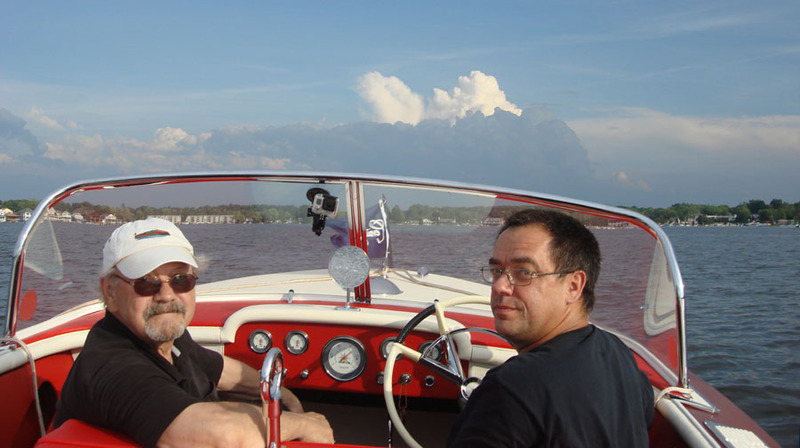 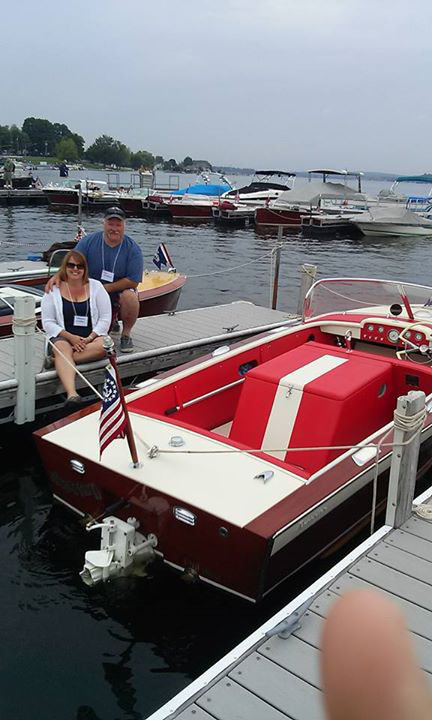 Last year at the ACBS International Show in Lake Geneva, WS. 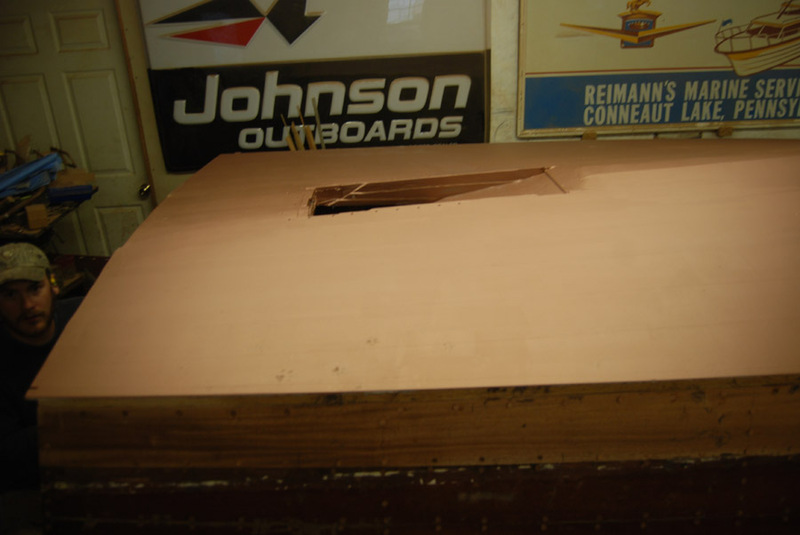 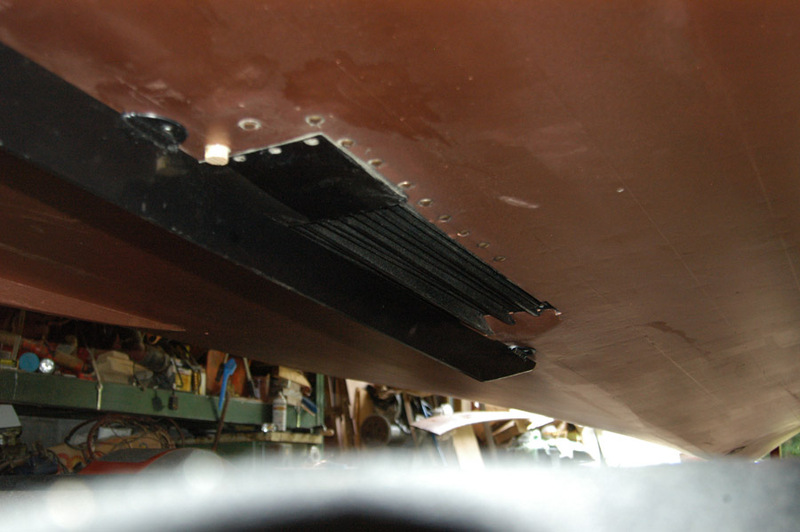 This and the next 5 photos shows rebuilding the jet drive box for the bottom of the hull. 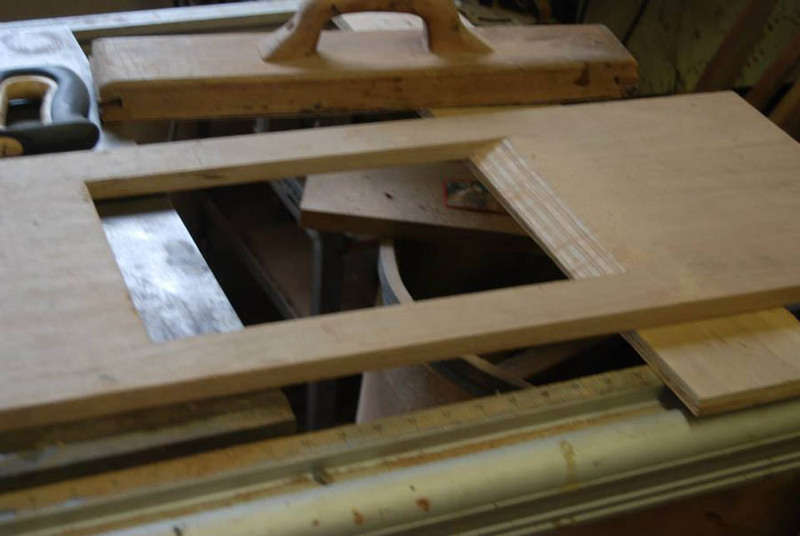 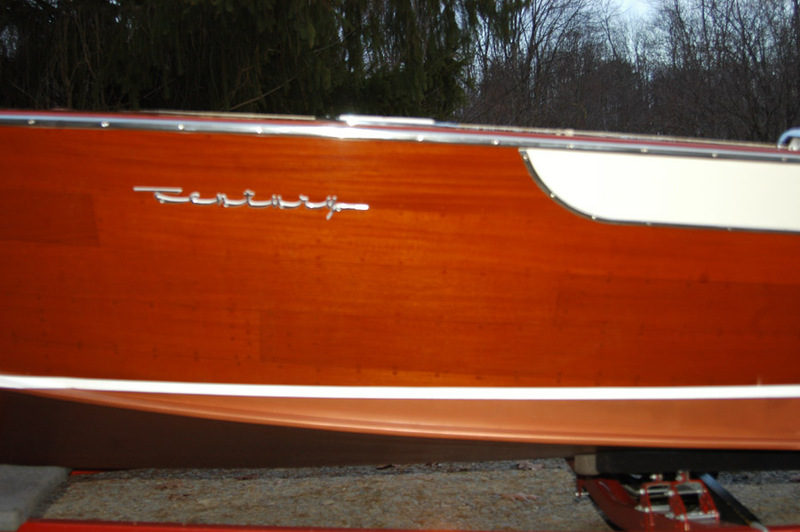 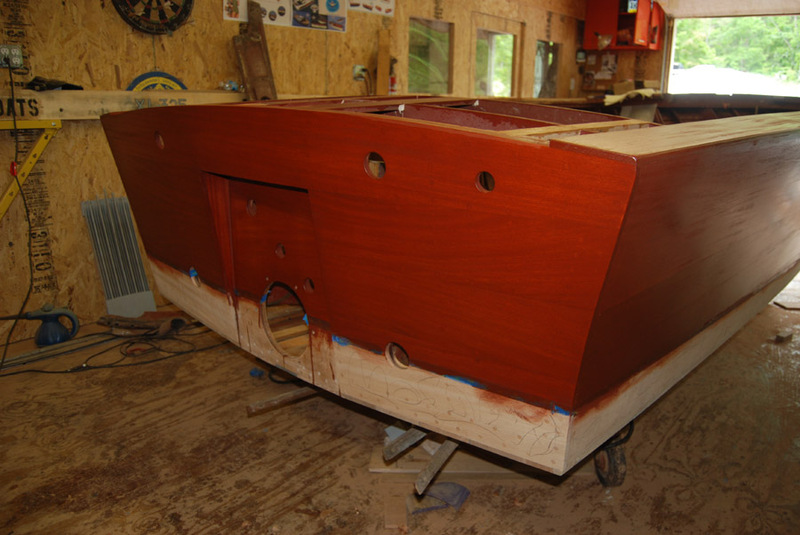 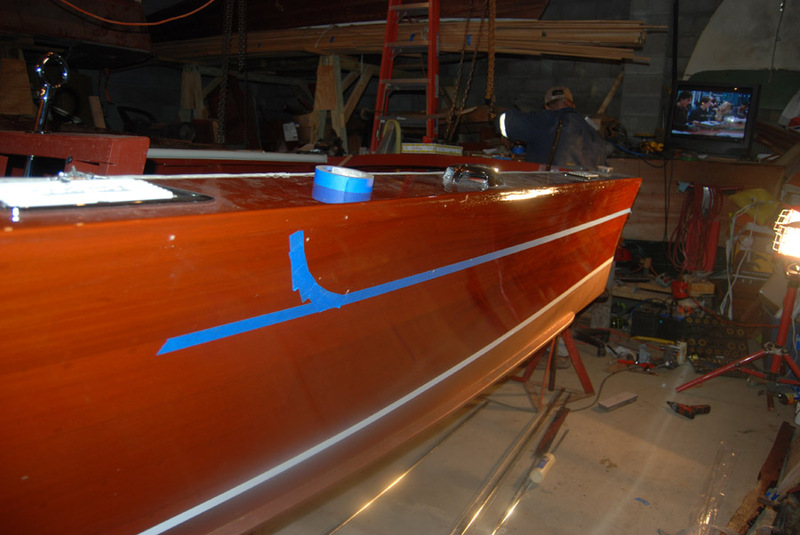 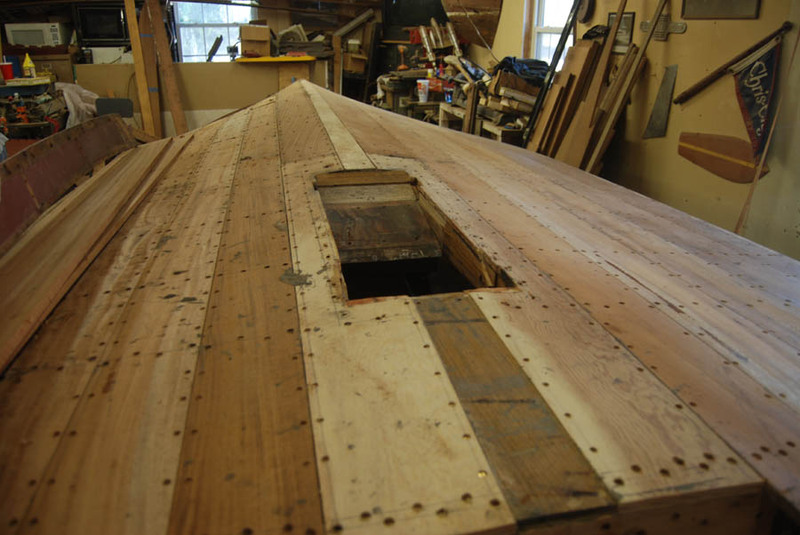 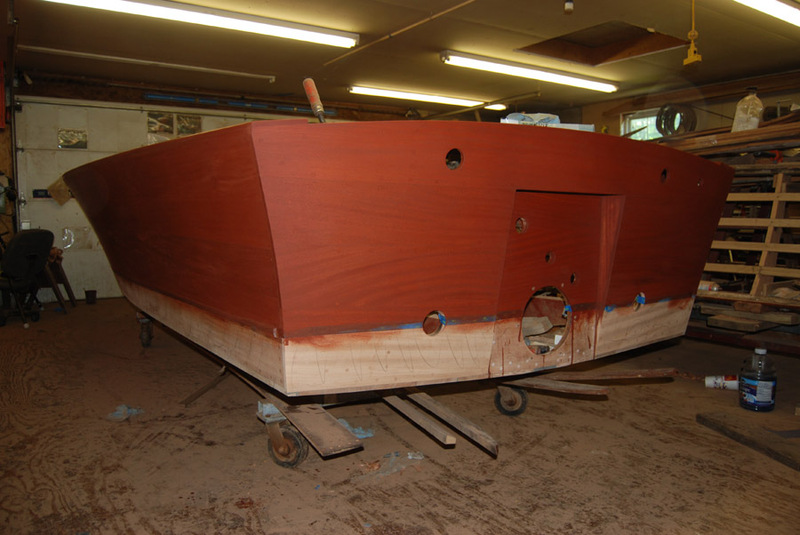 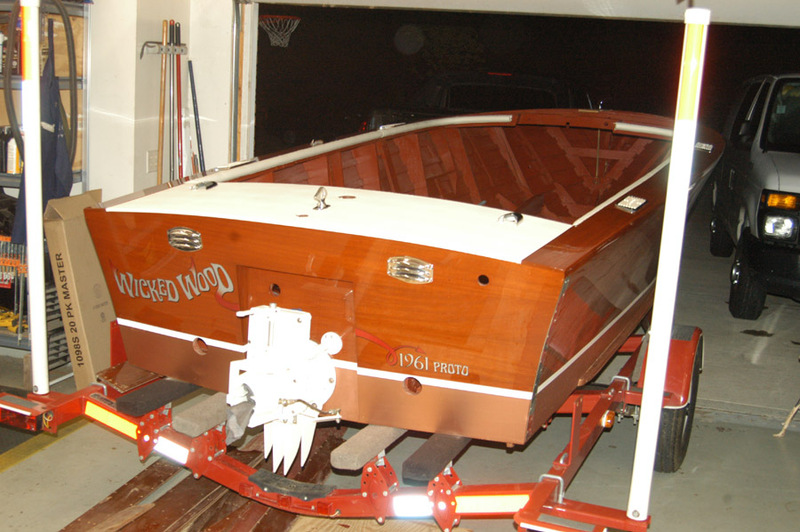 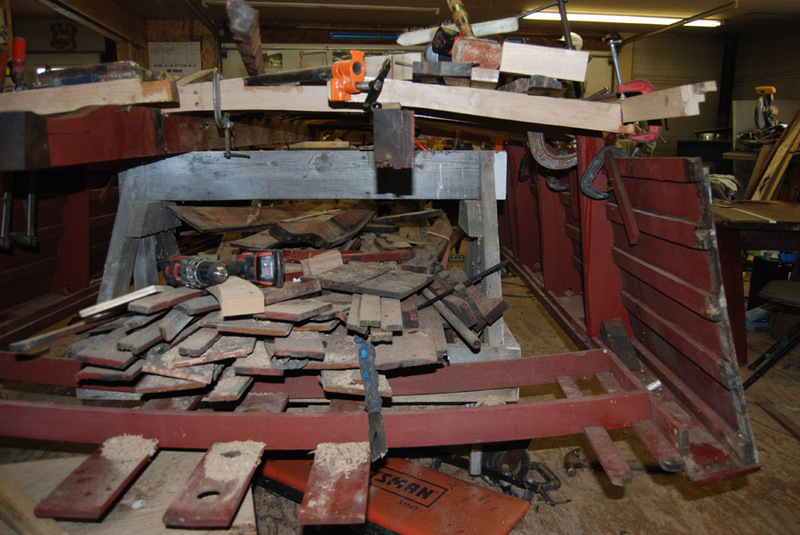 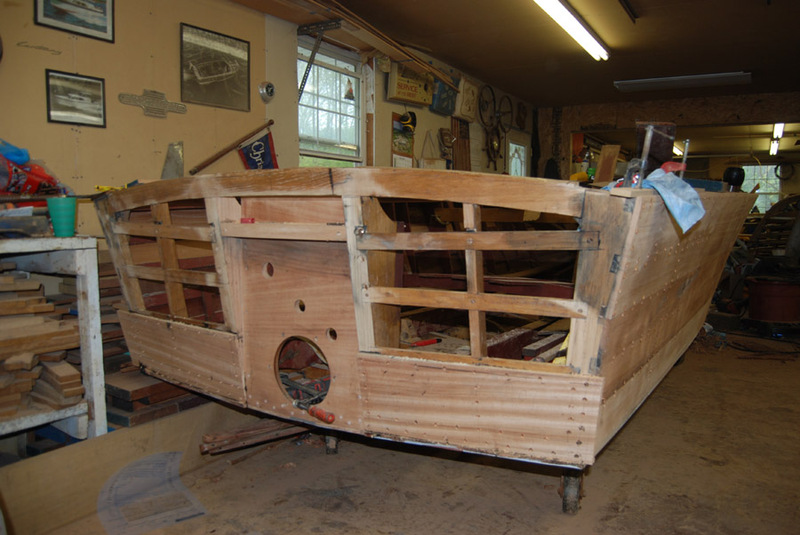 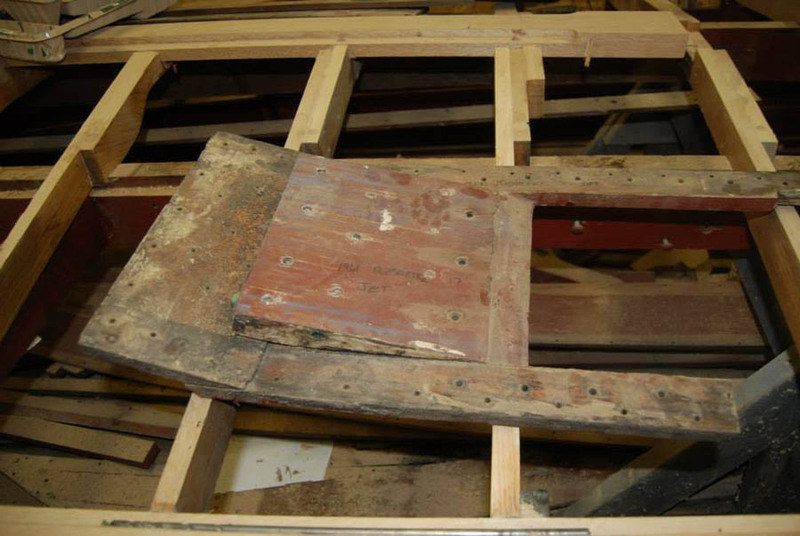 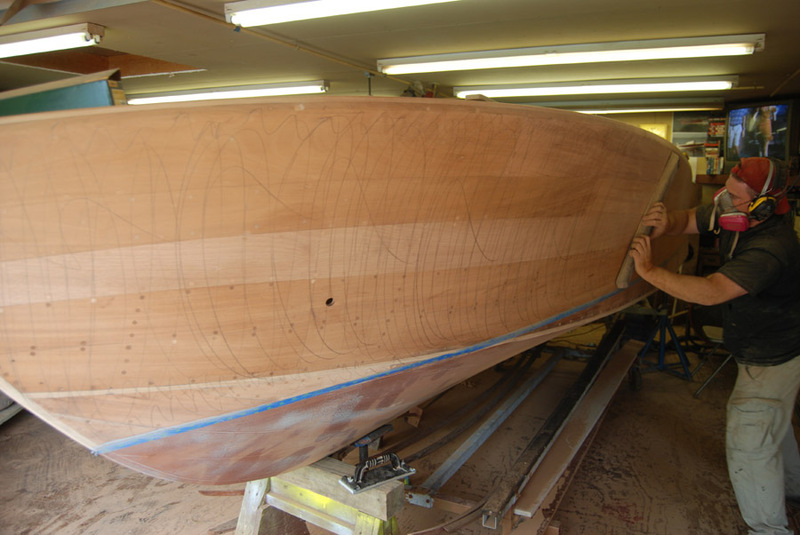 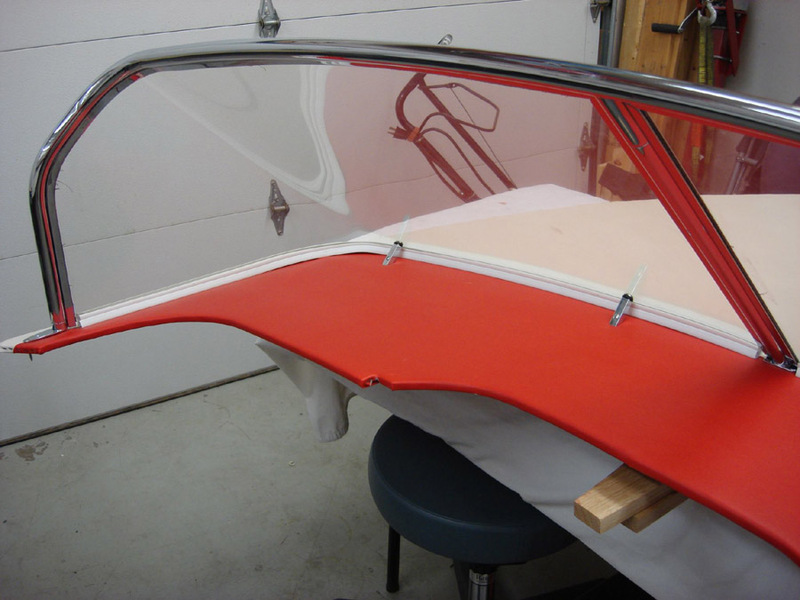 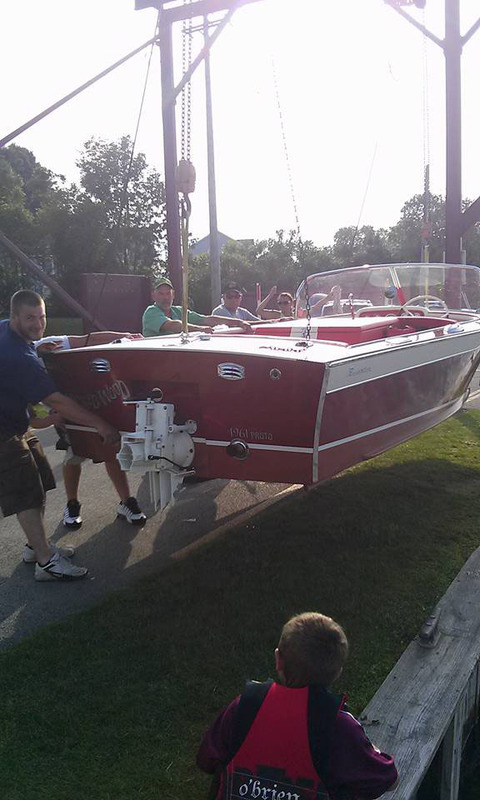 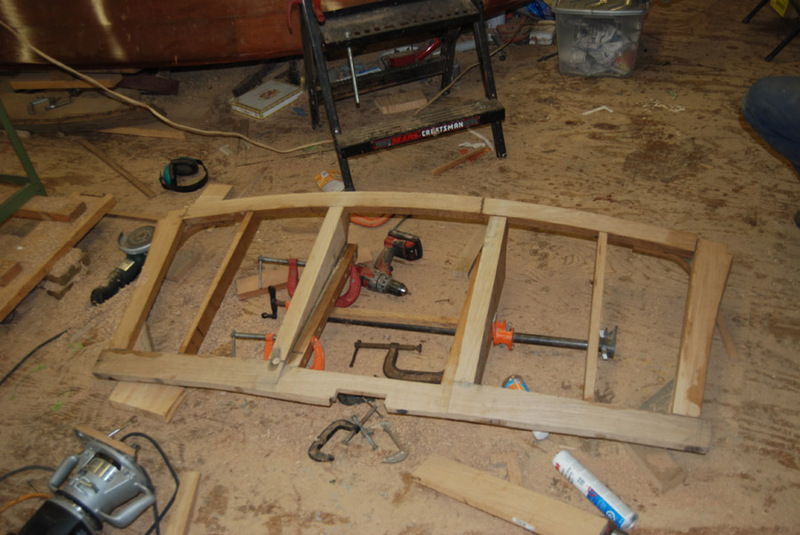 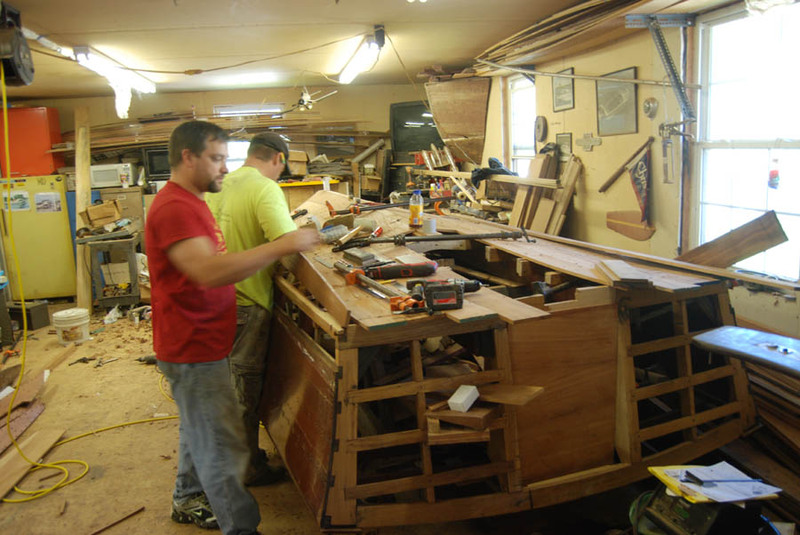 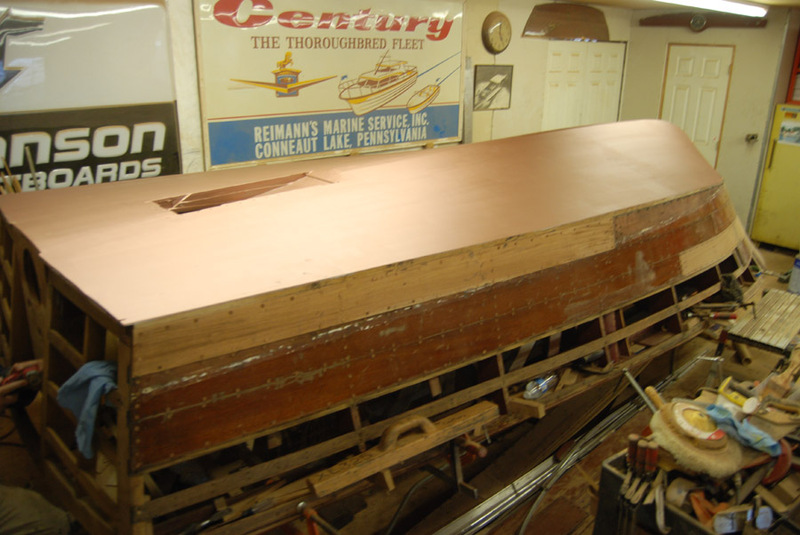 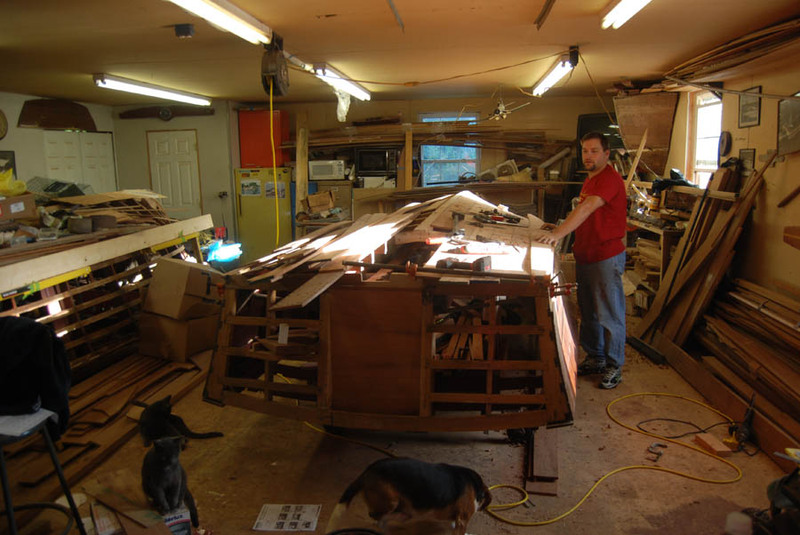 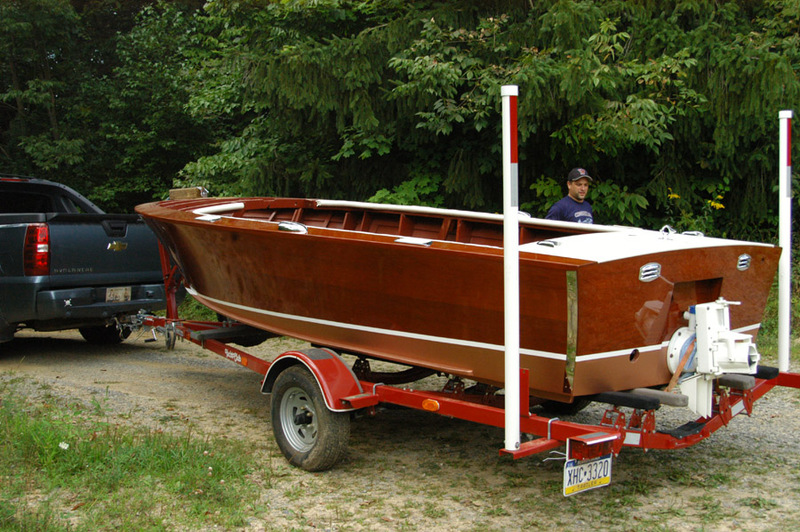 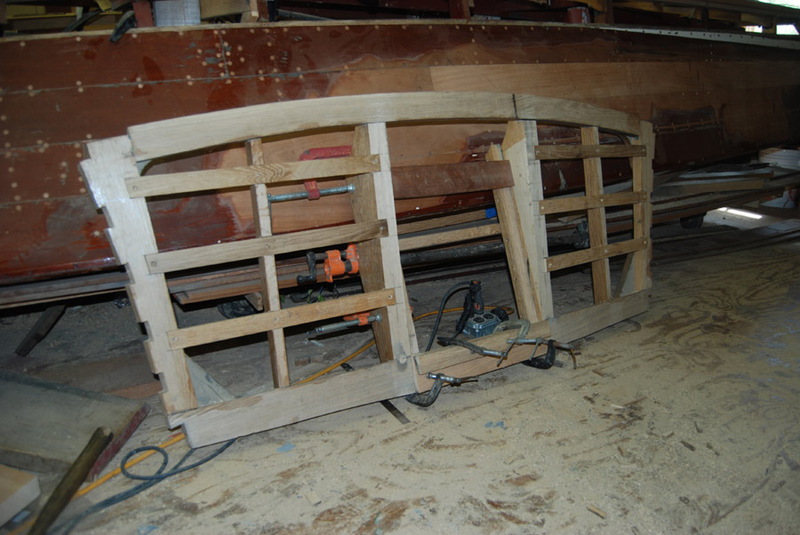 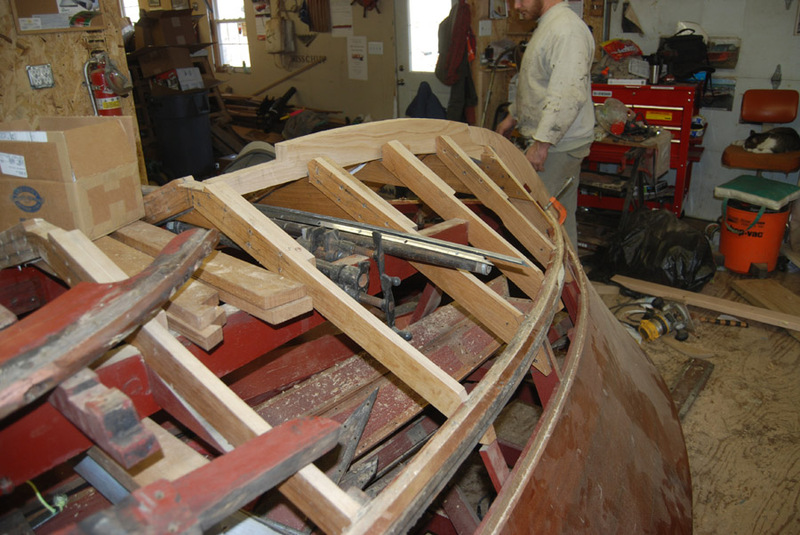 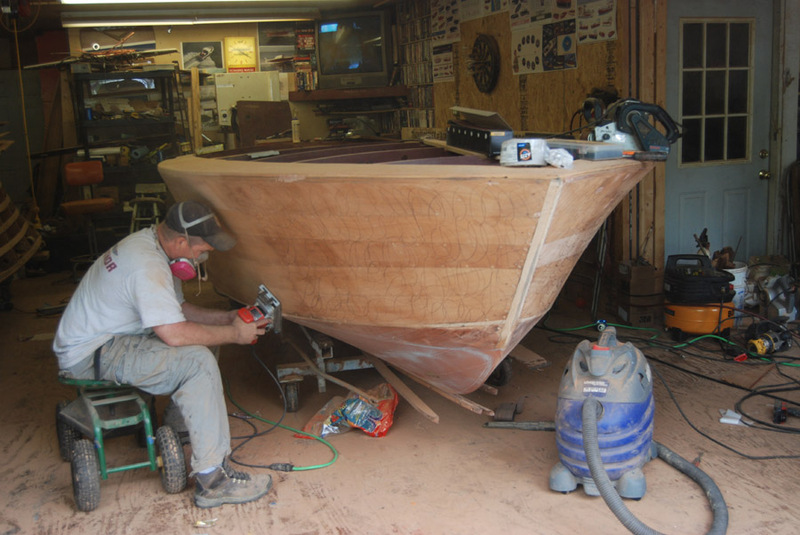 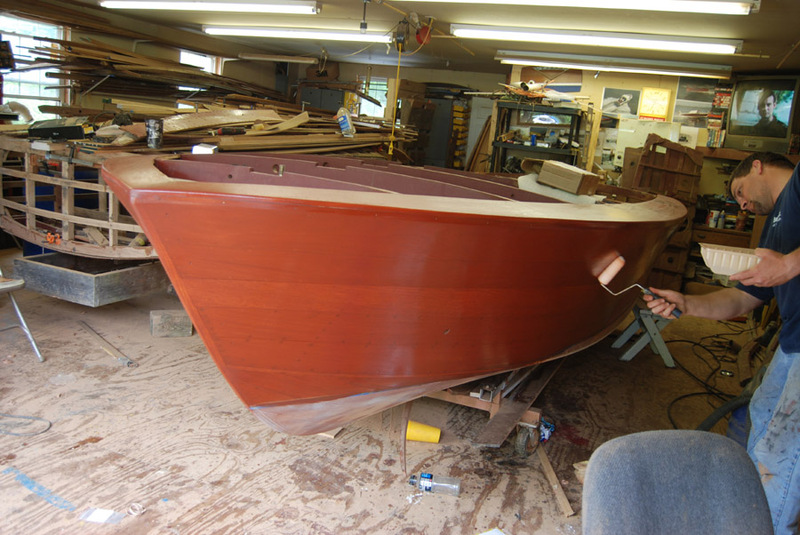 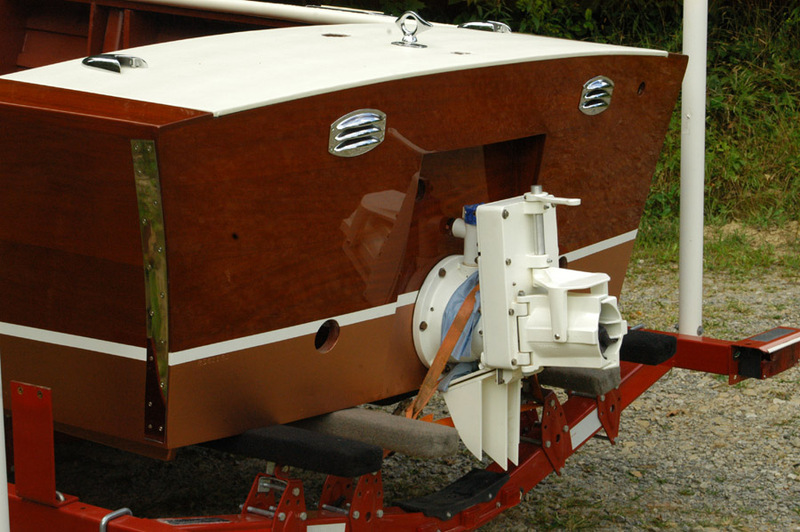 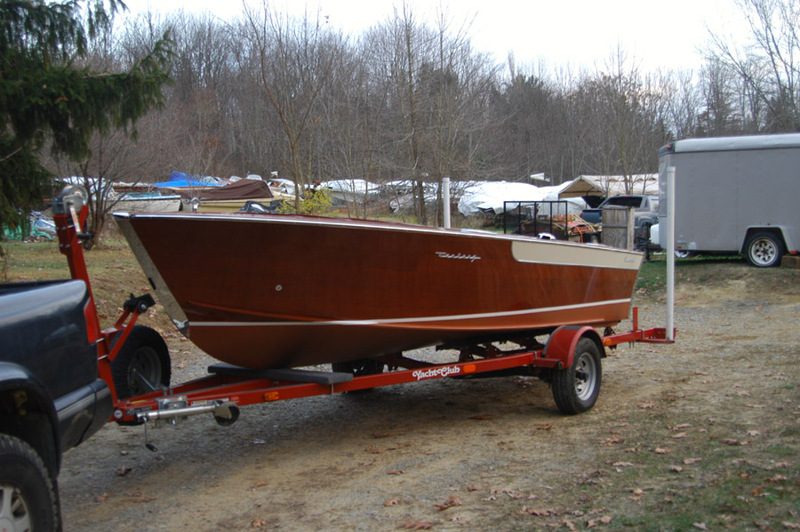 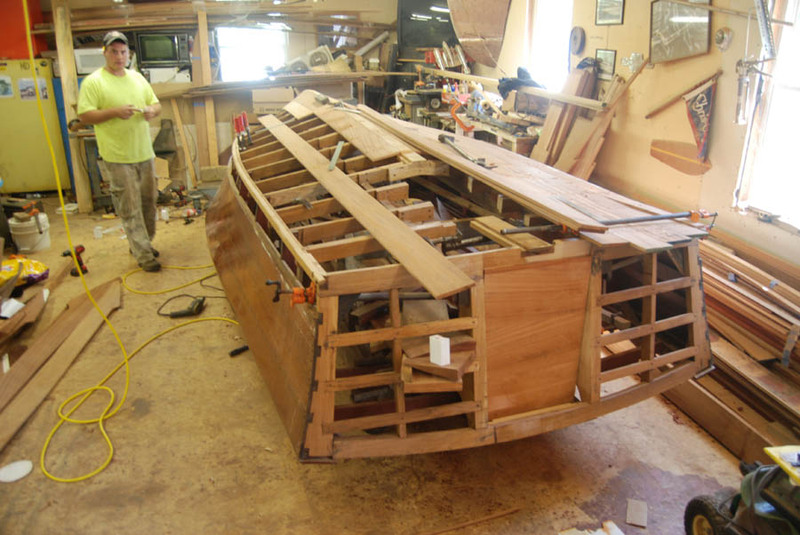 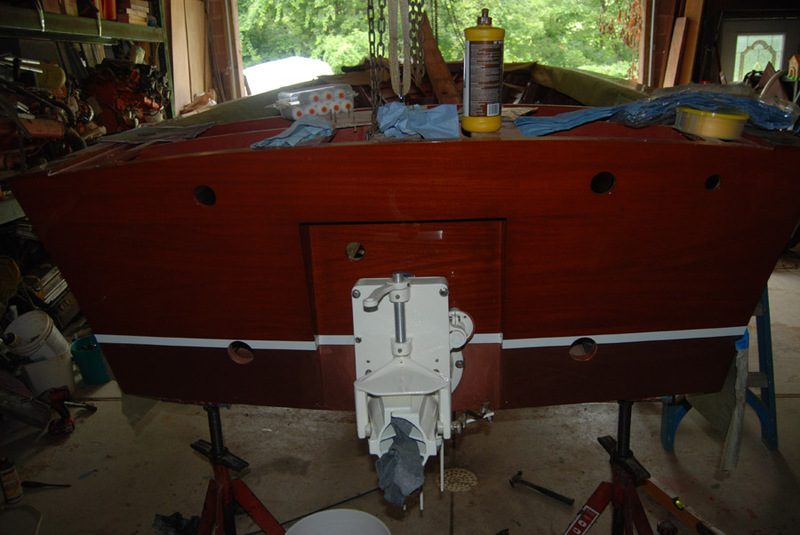 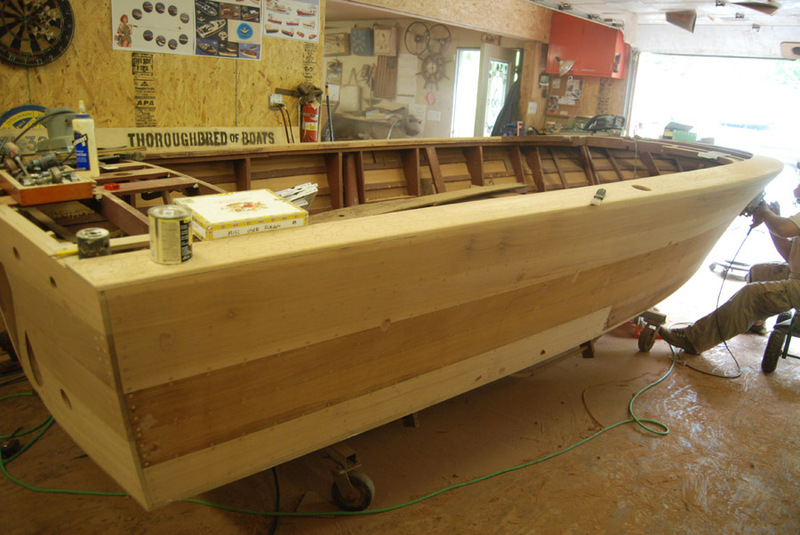 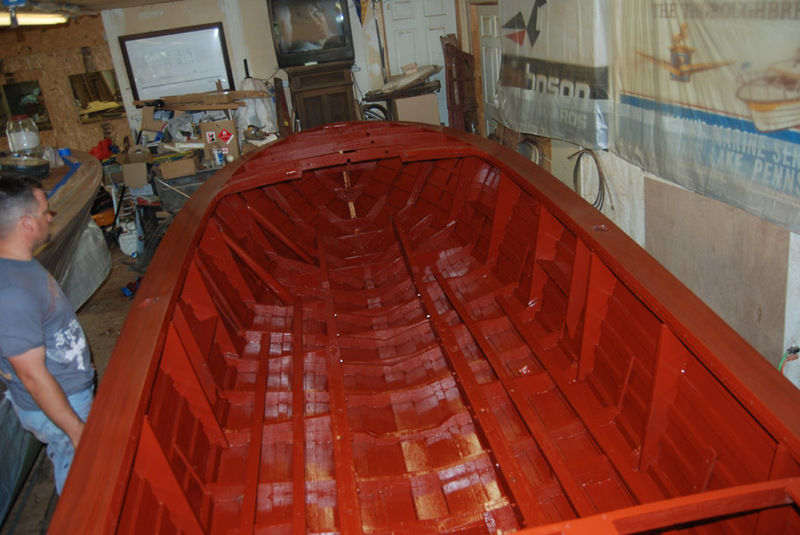 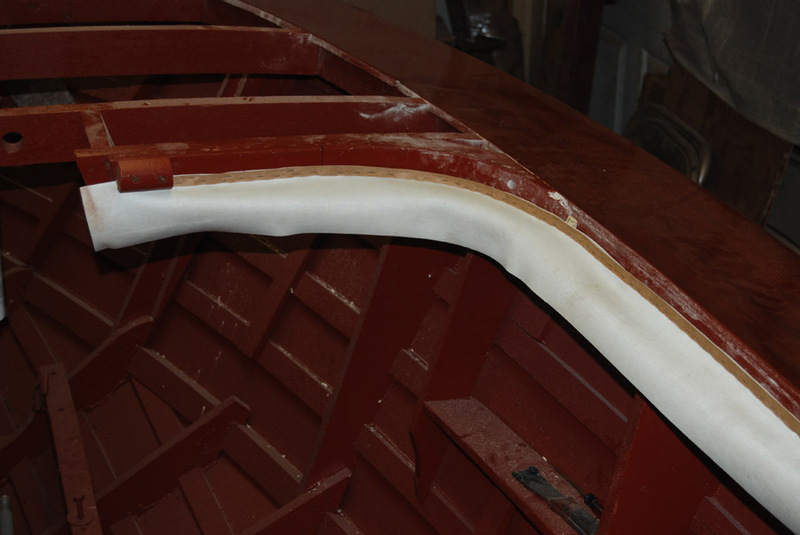 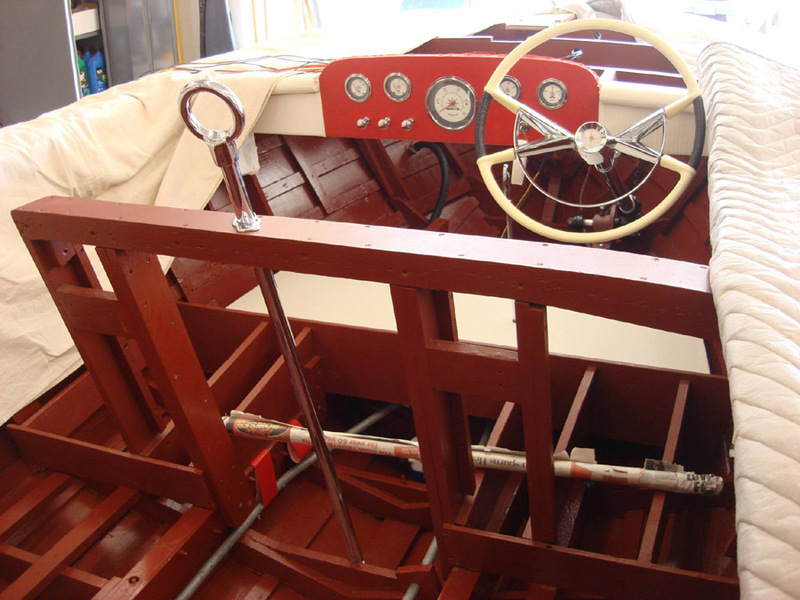 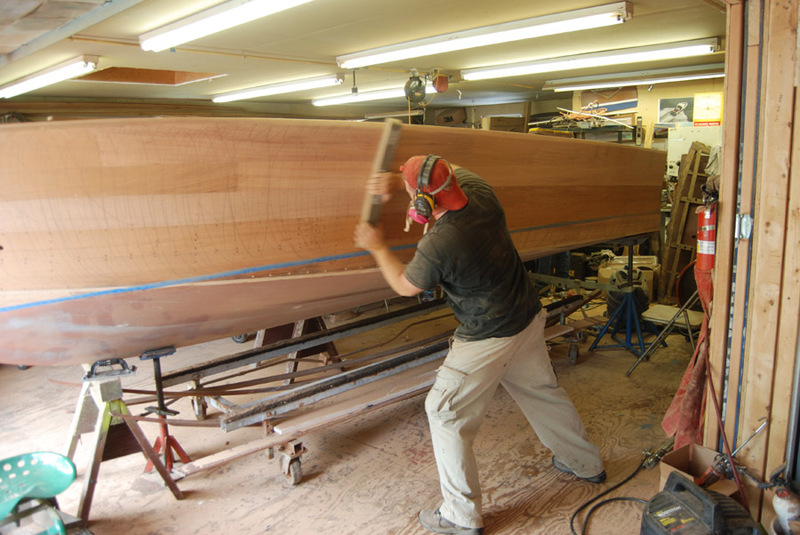 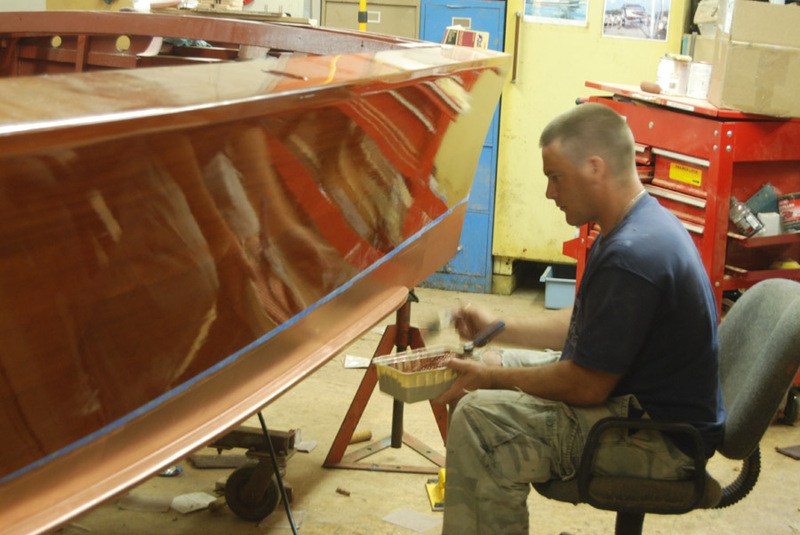 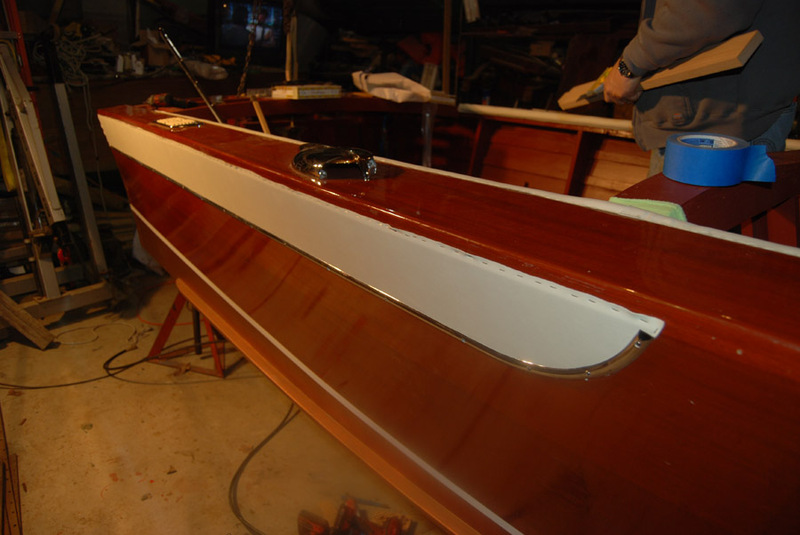 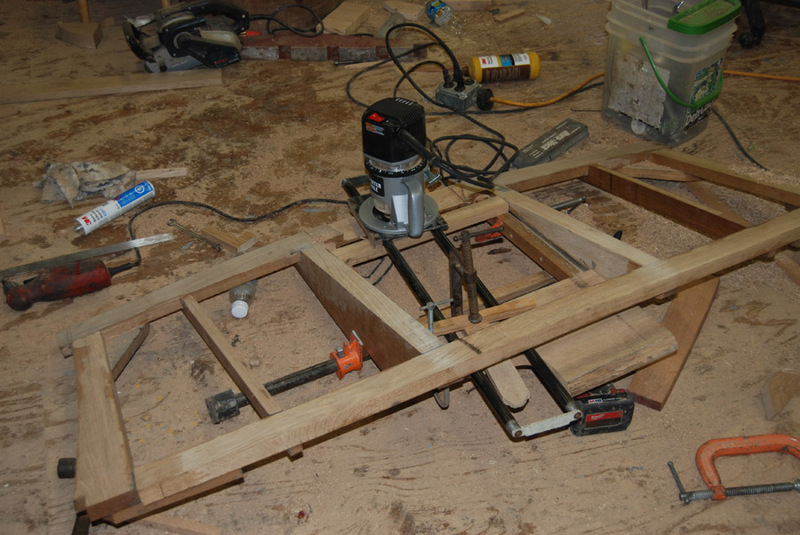 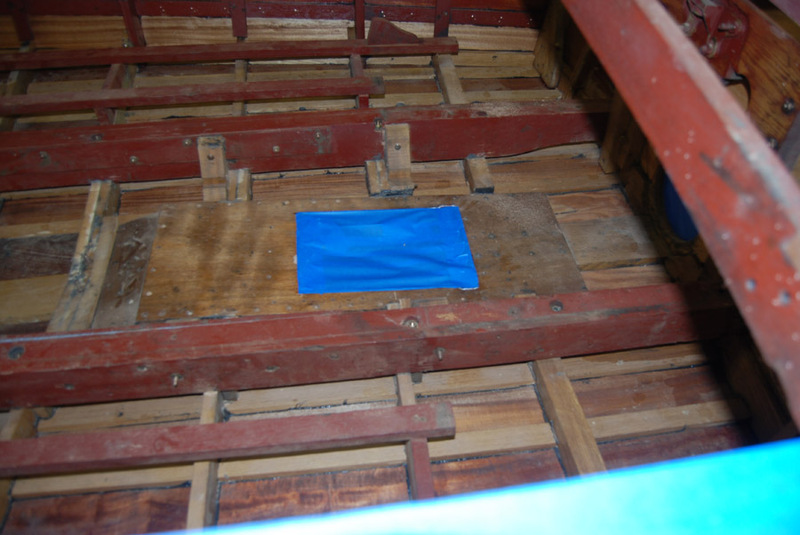 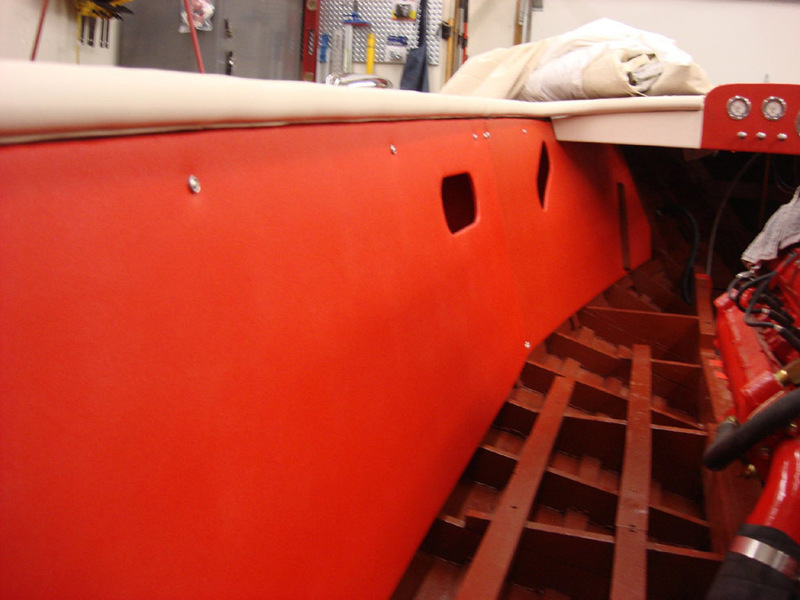 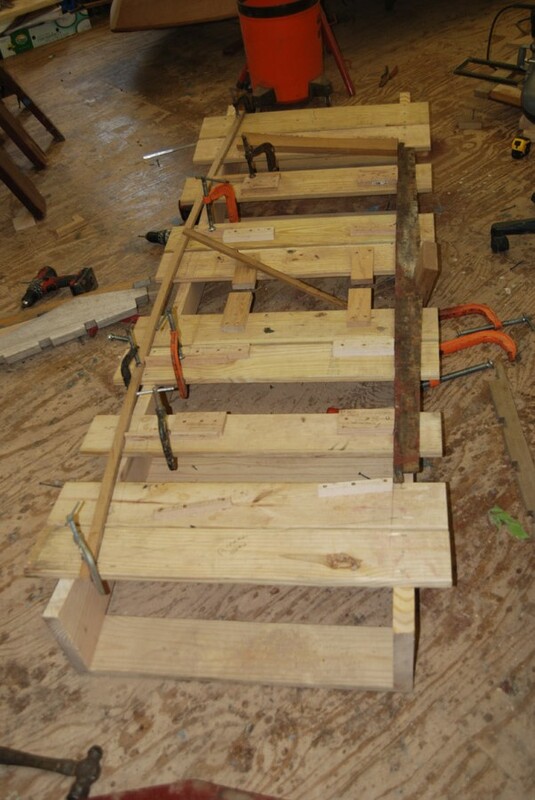 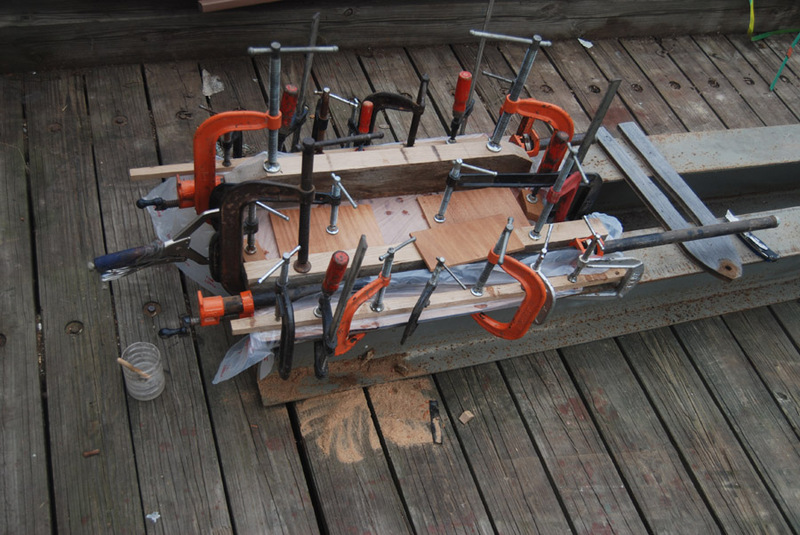 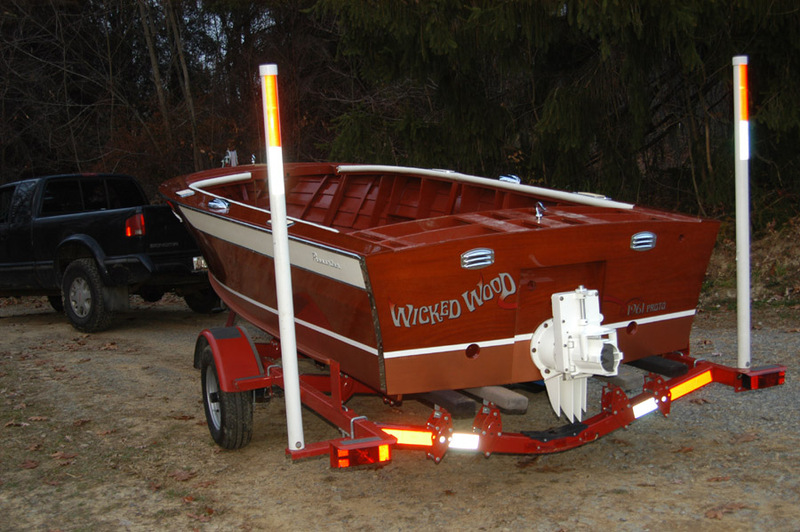 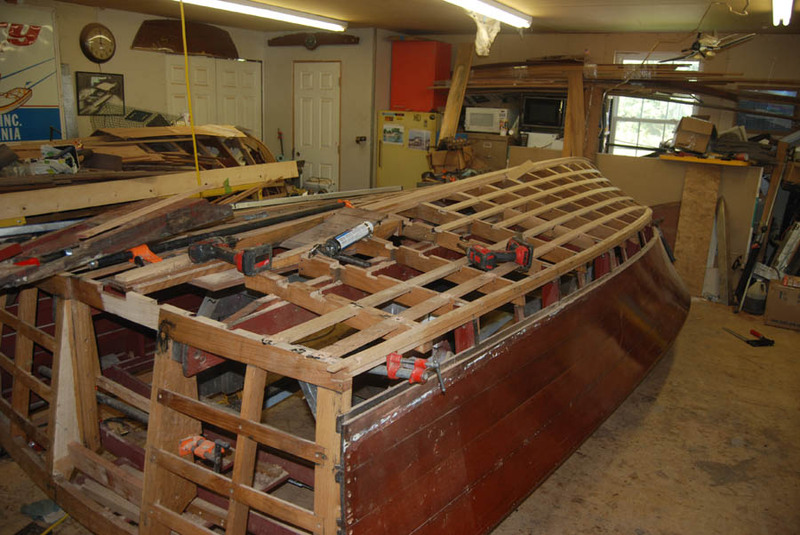 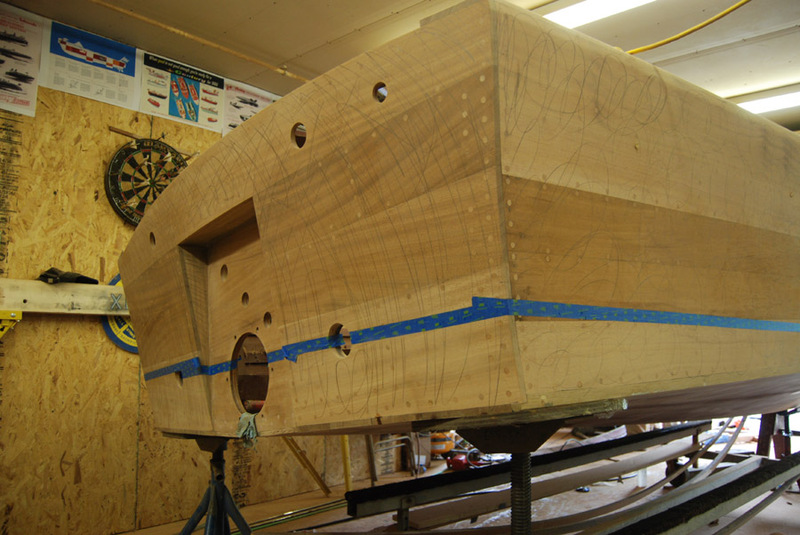 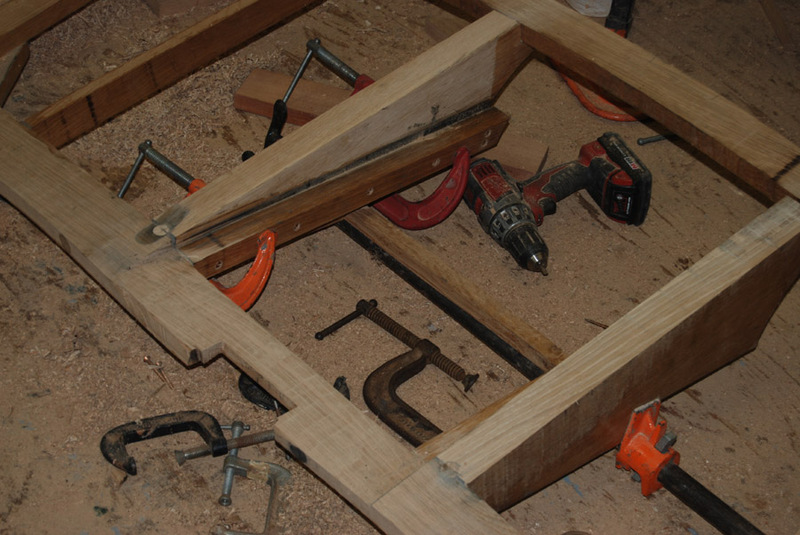 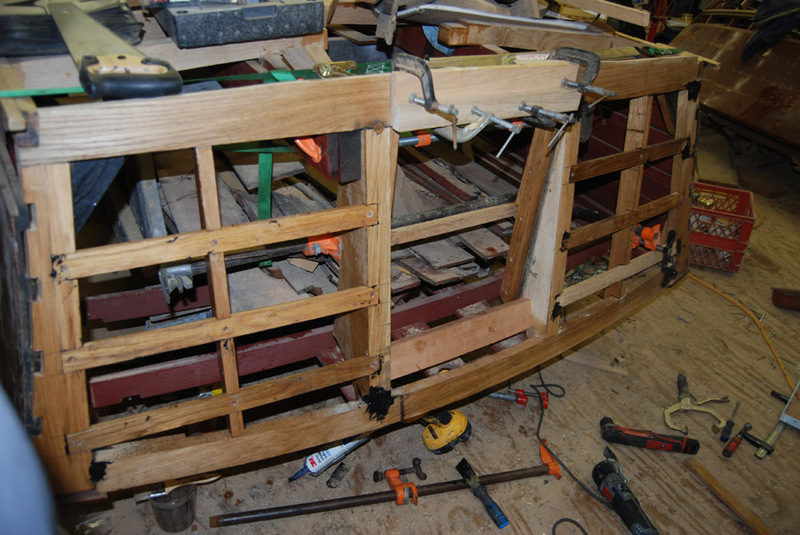 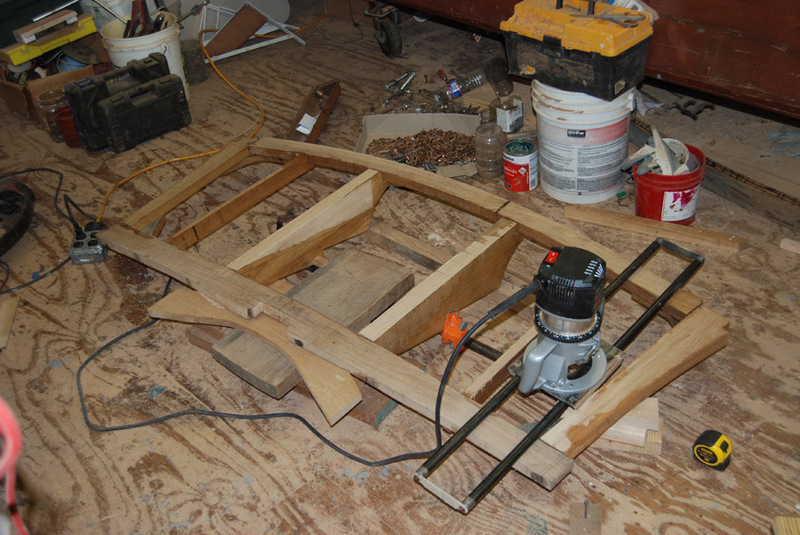 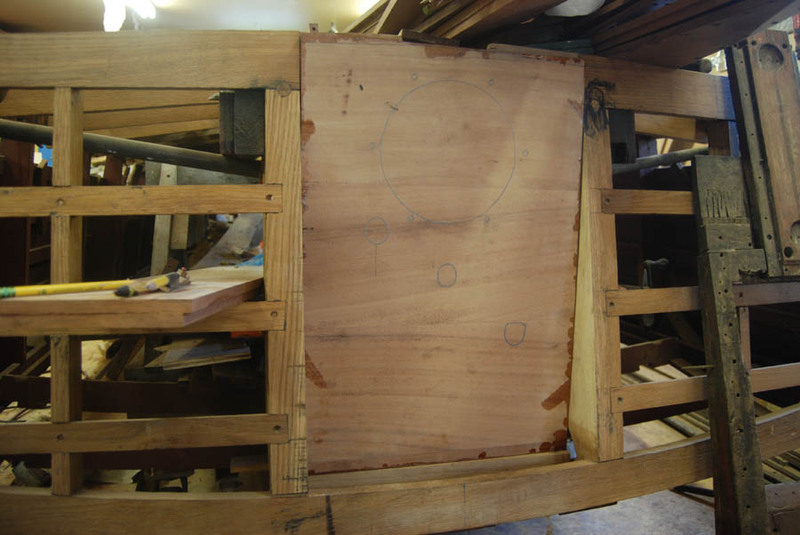 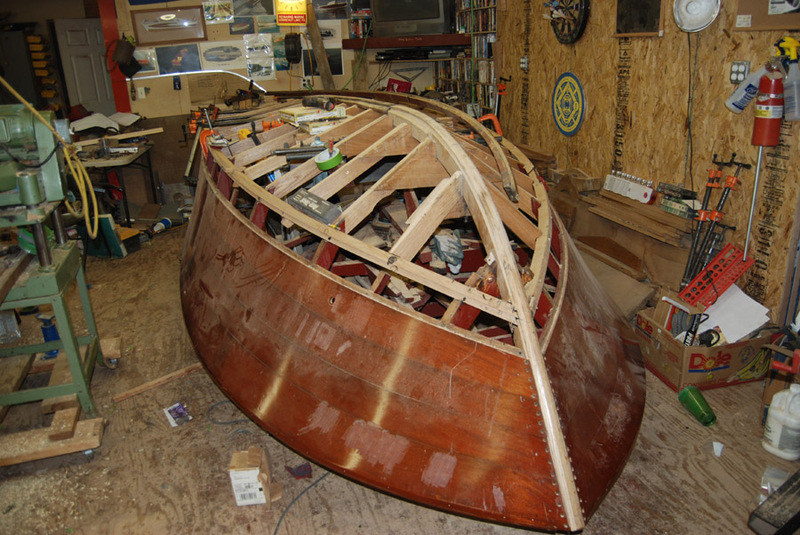 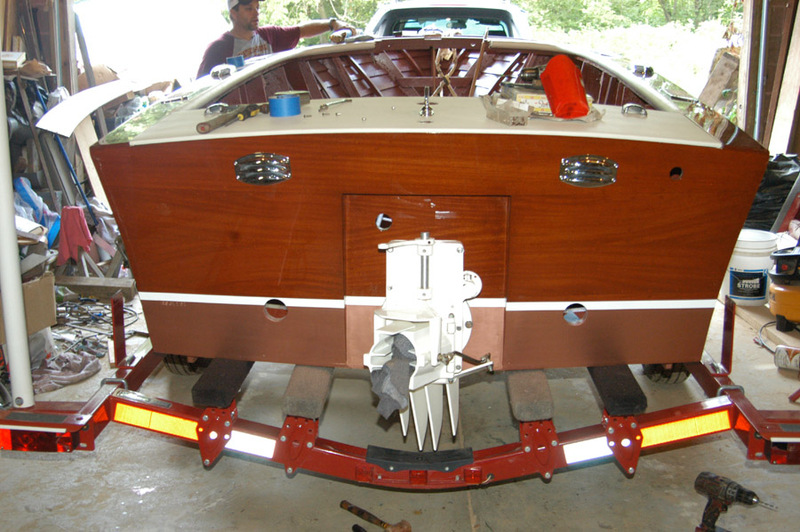 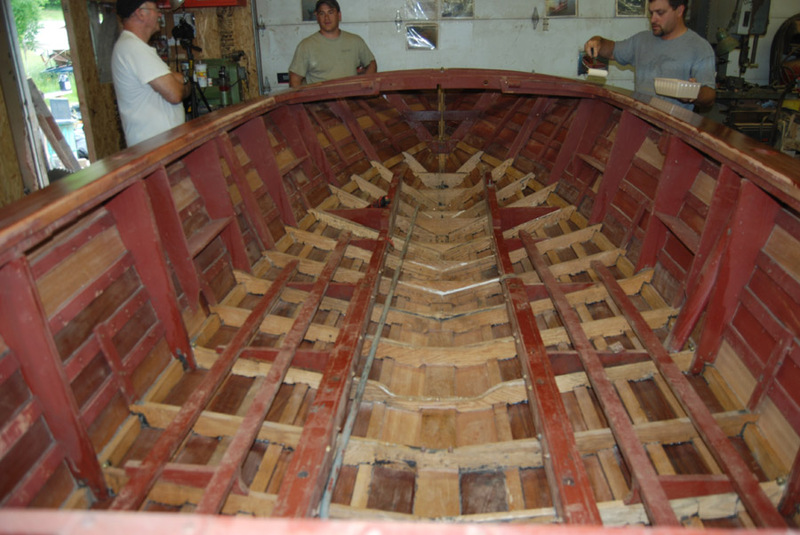 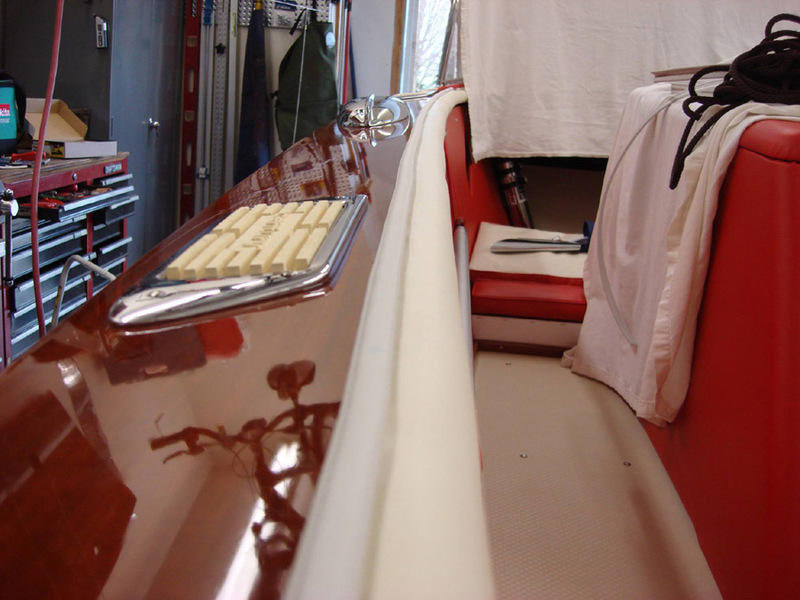 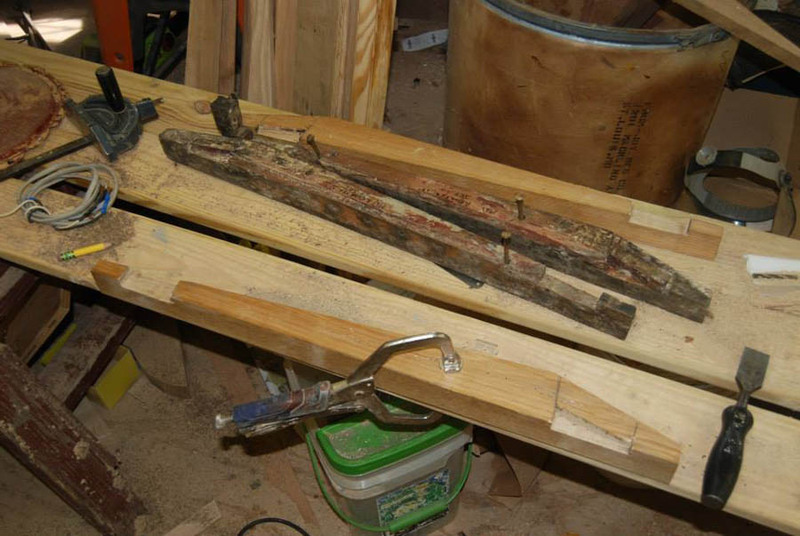 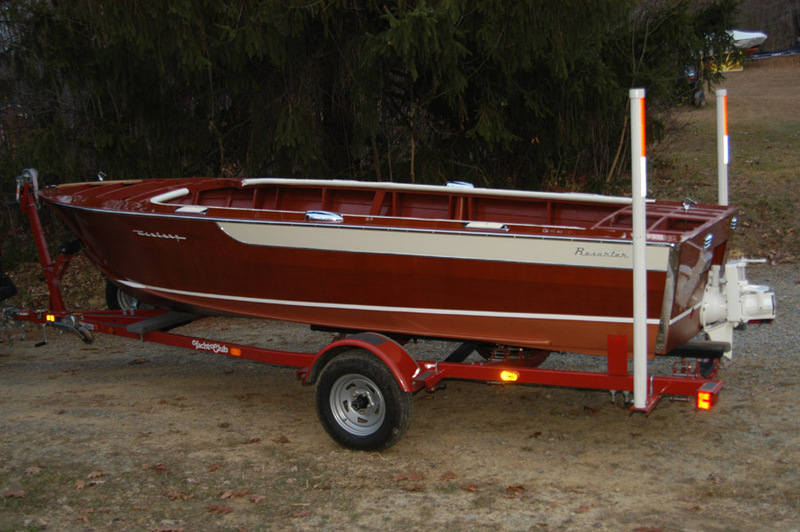 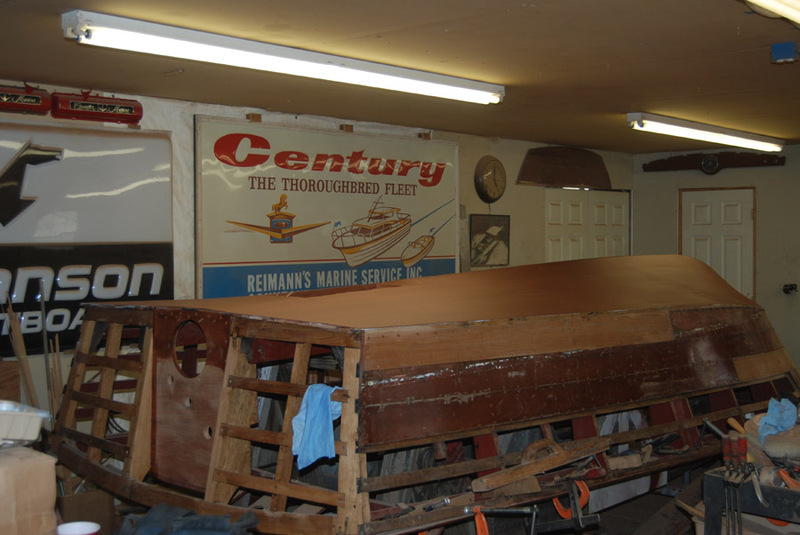 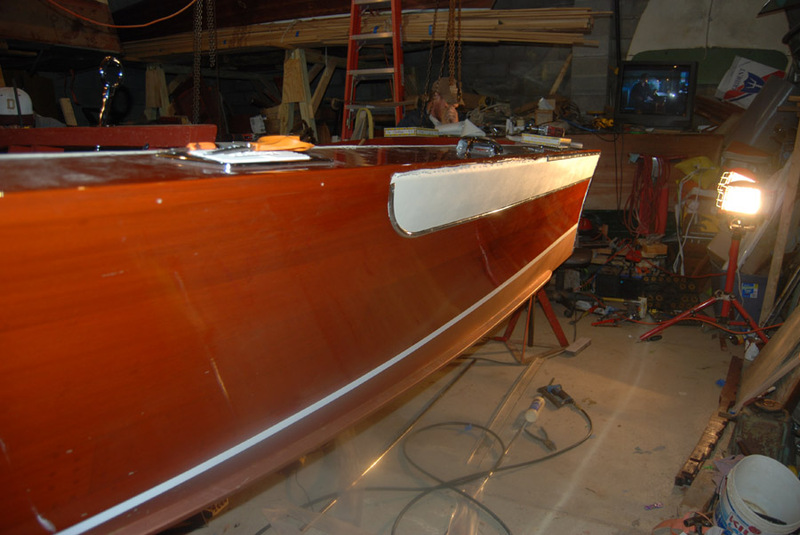 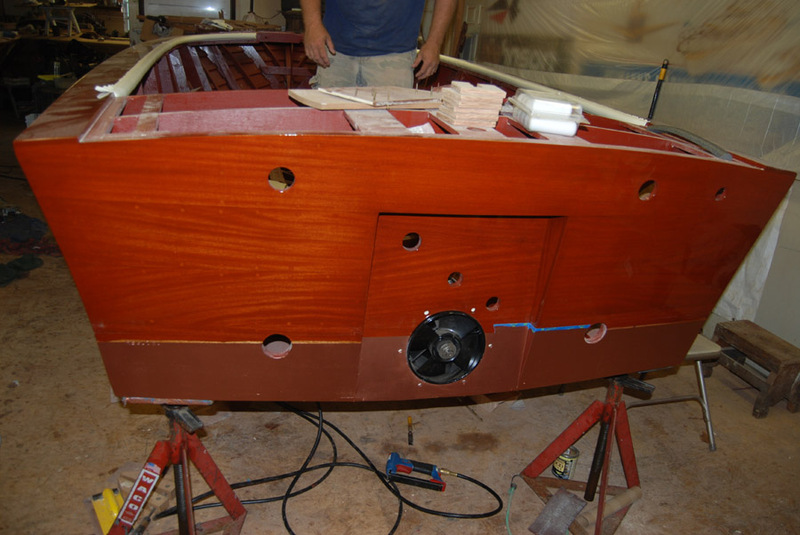 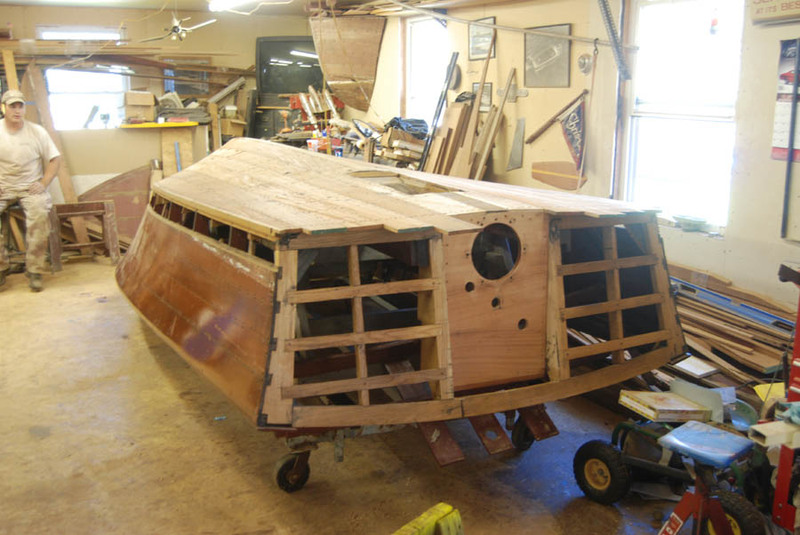 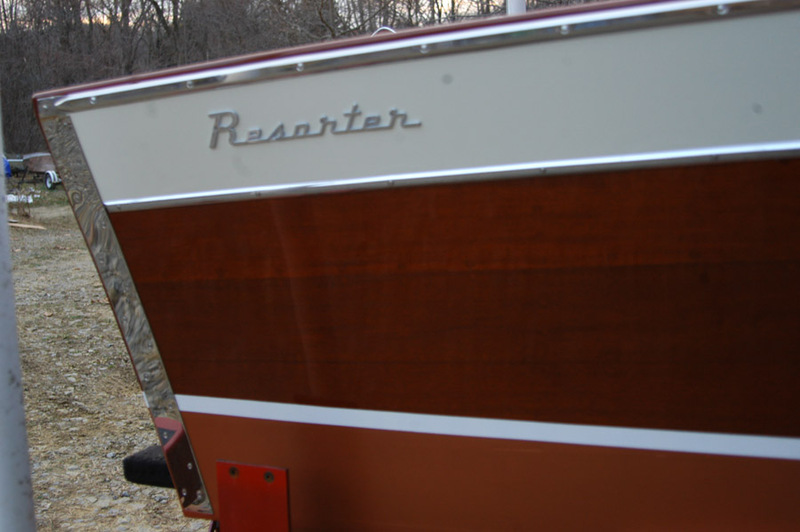 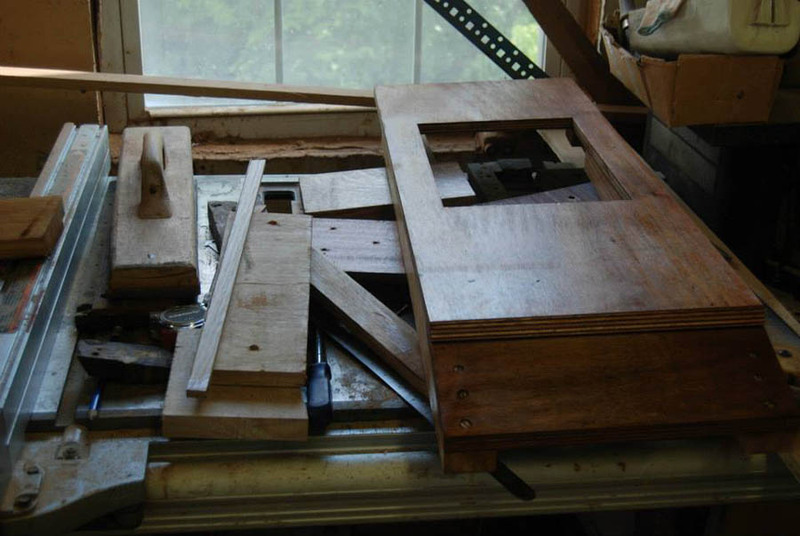 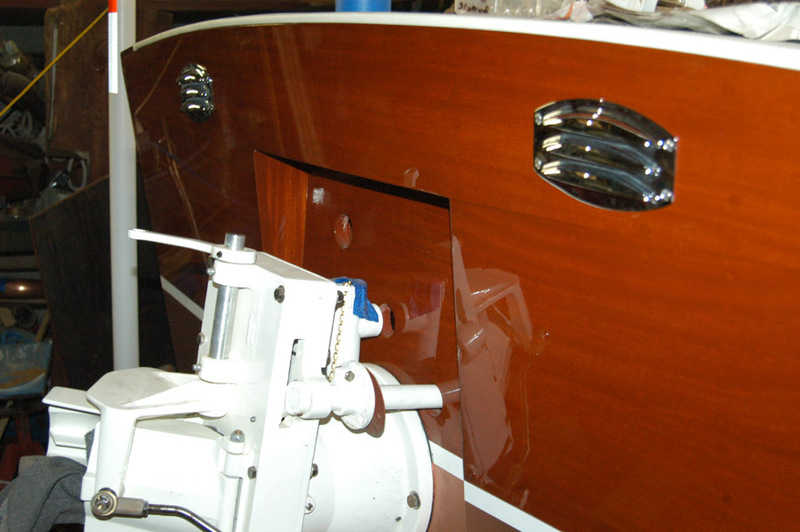 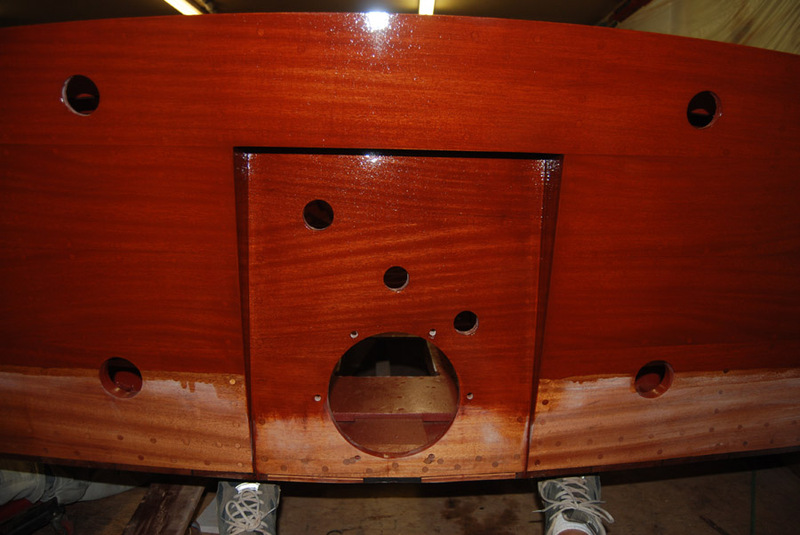 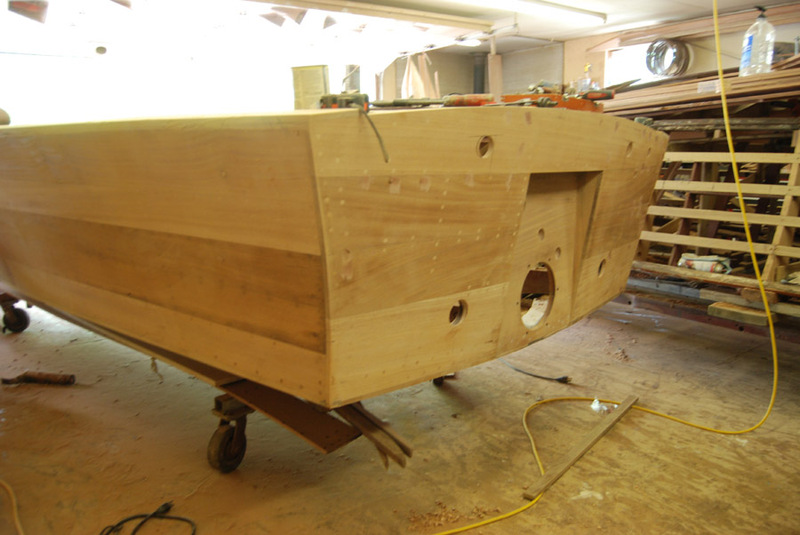 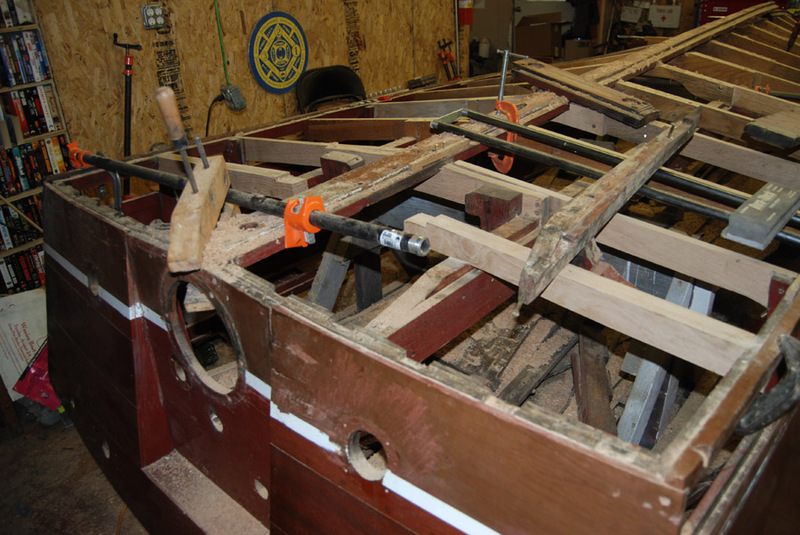 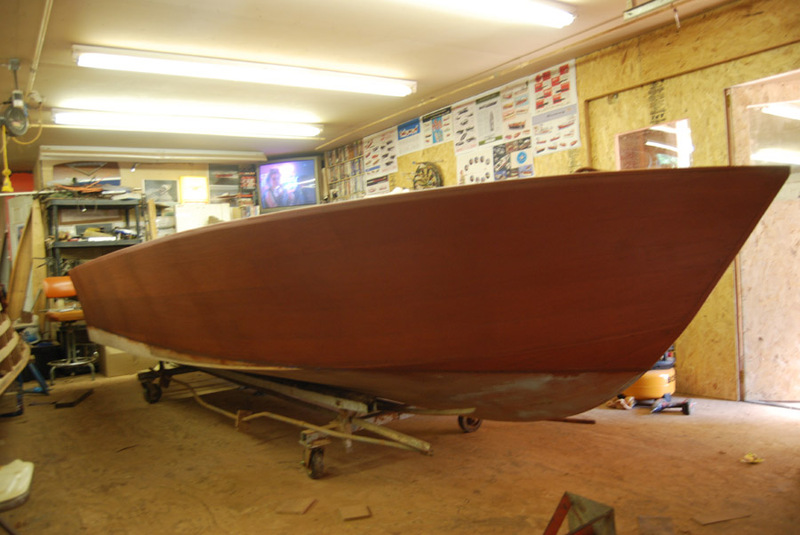 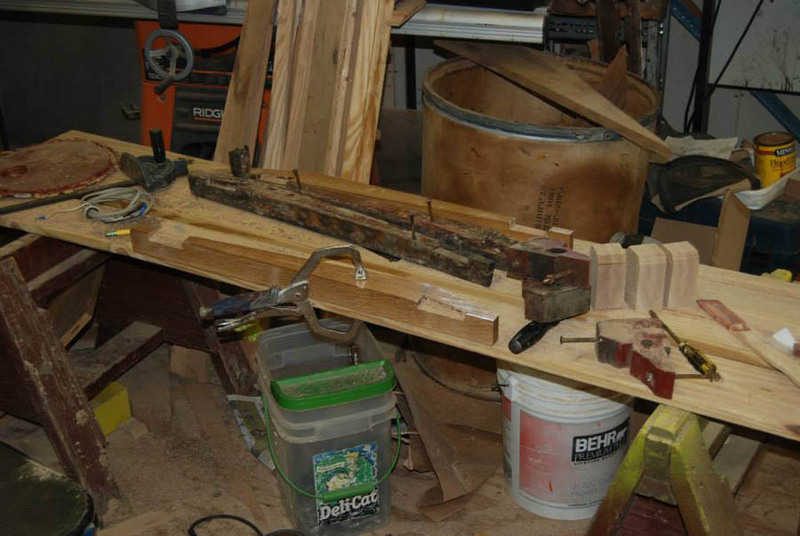 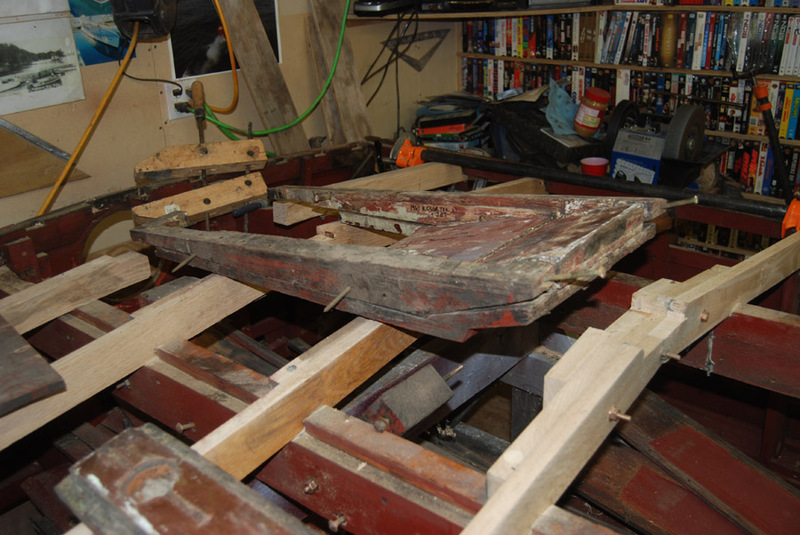 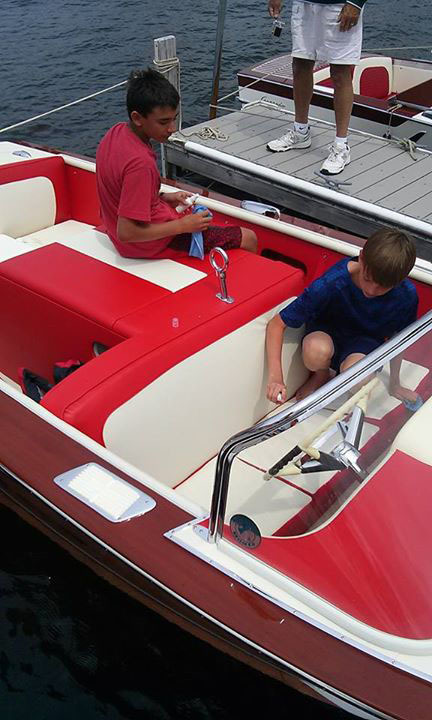 This and the next several photos are showing the transom assembly. 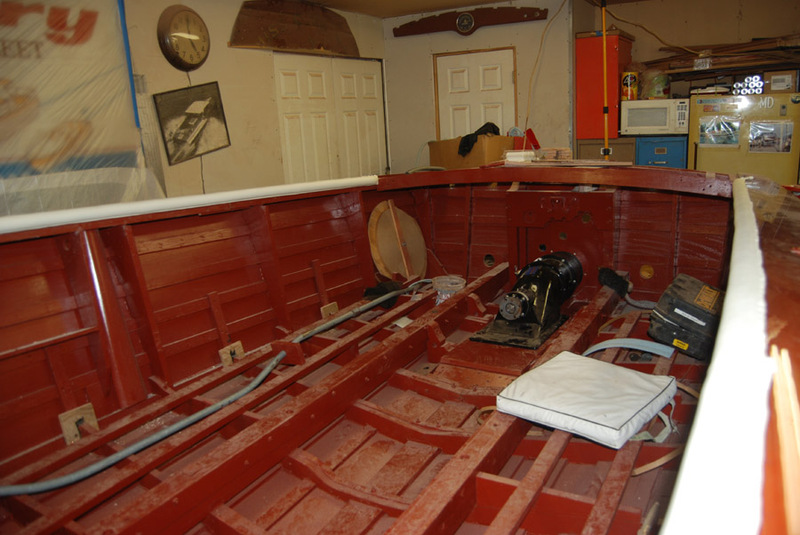 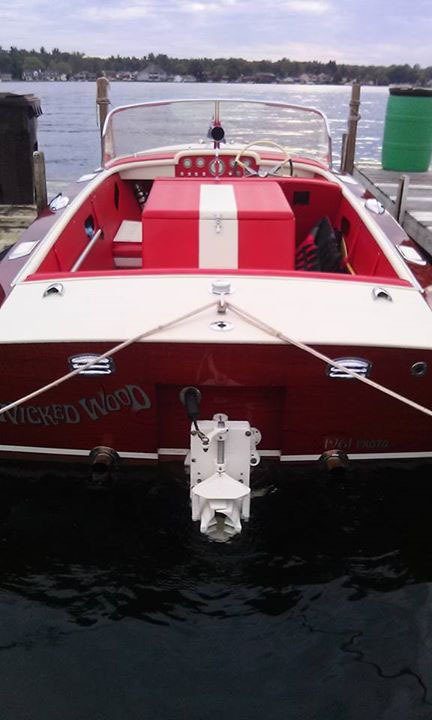 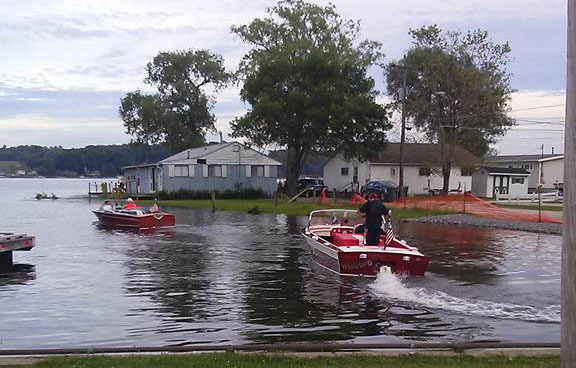 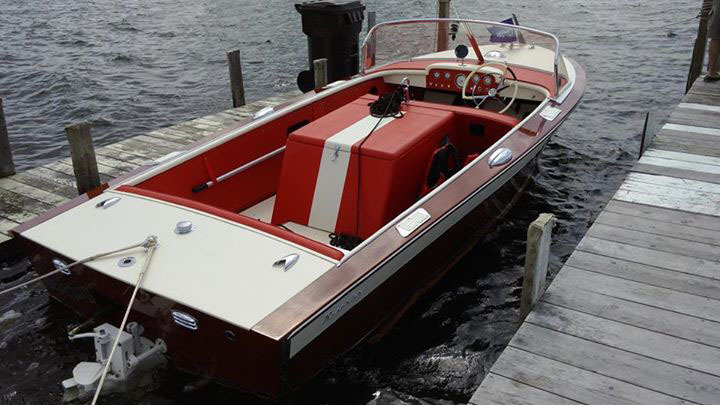 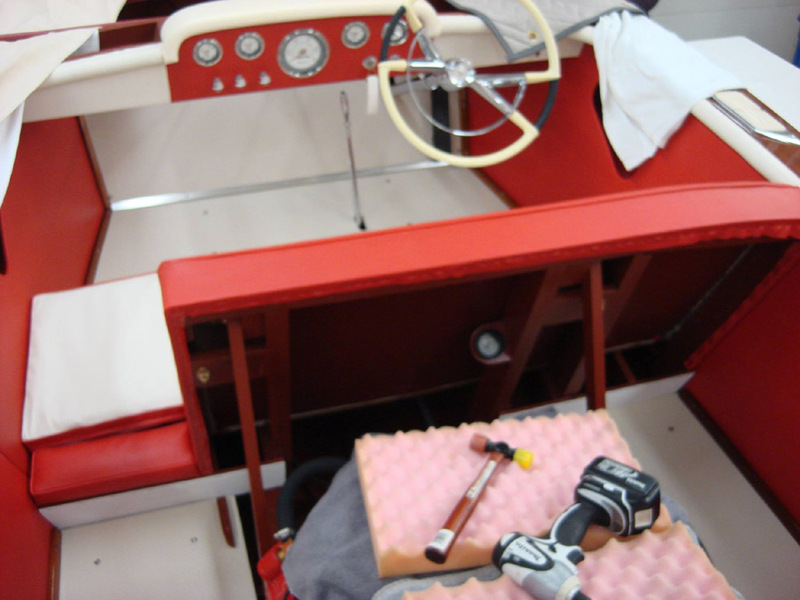 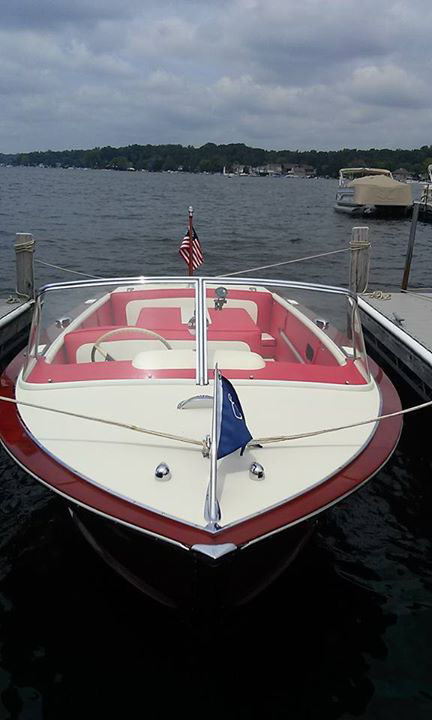 Note: interior installation was done by the owner..
just about ready for the water.